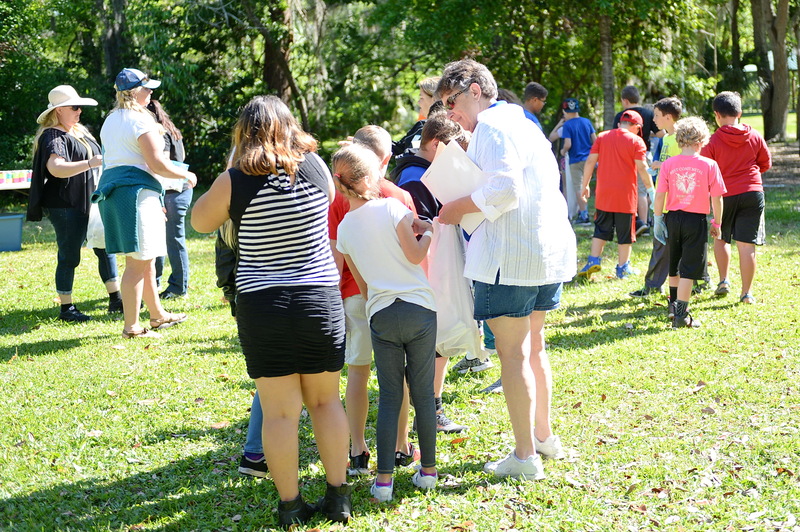 These are all phrases that third grade students at Crystal River Primary school went home to share with their families on Earth Day, Wednesday, April 18th, 2018. 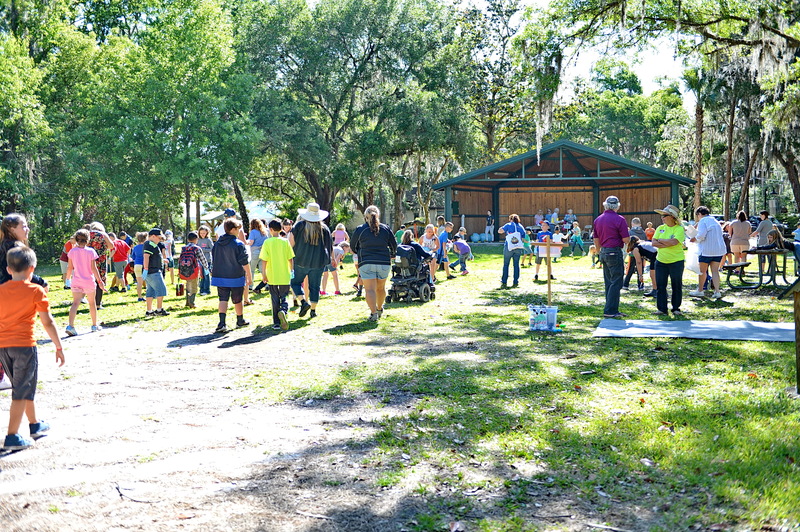 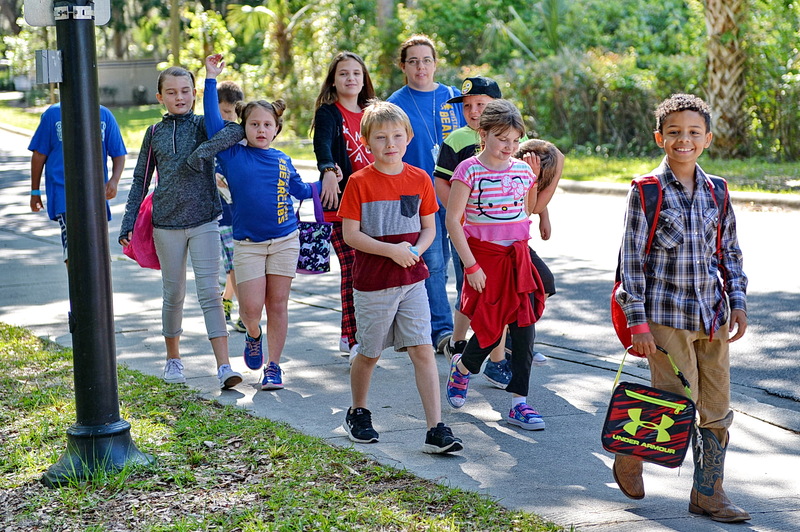 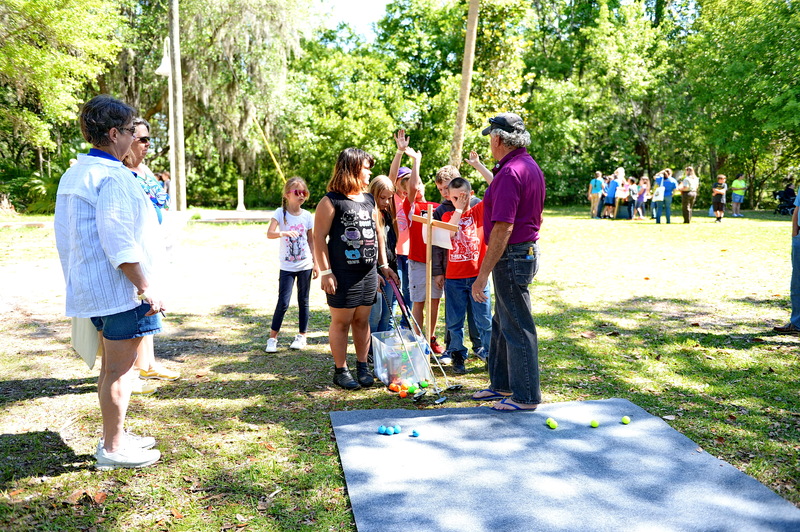 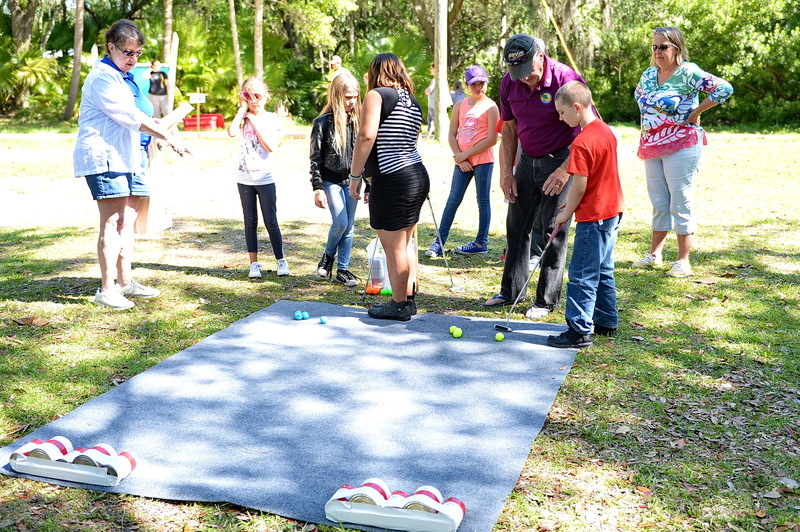 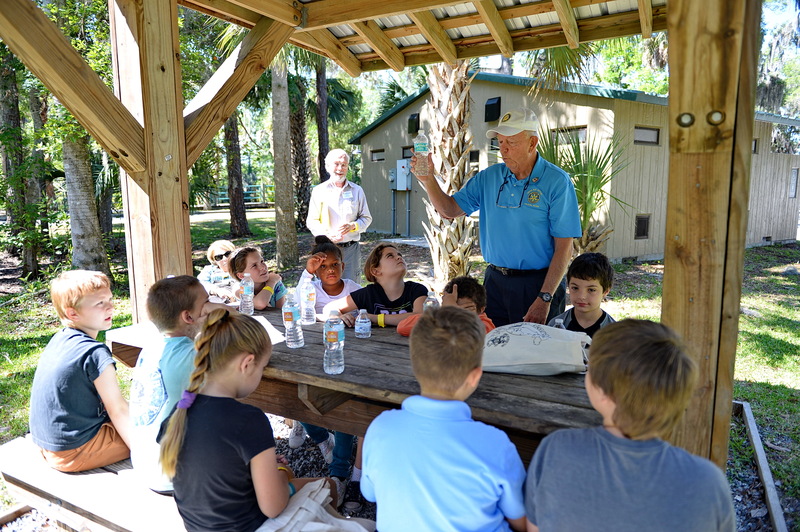 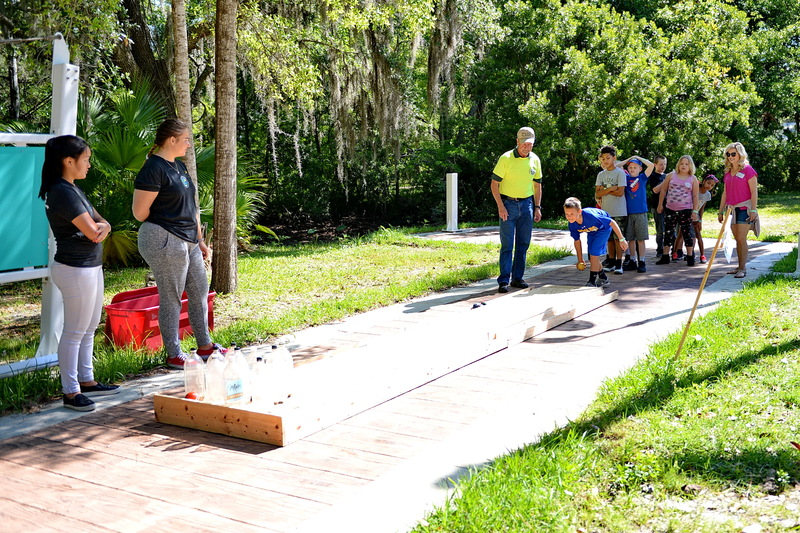 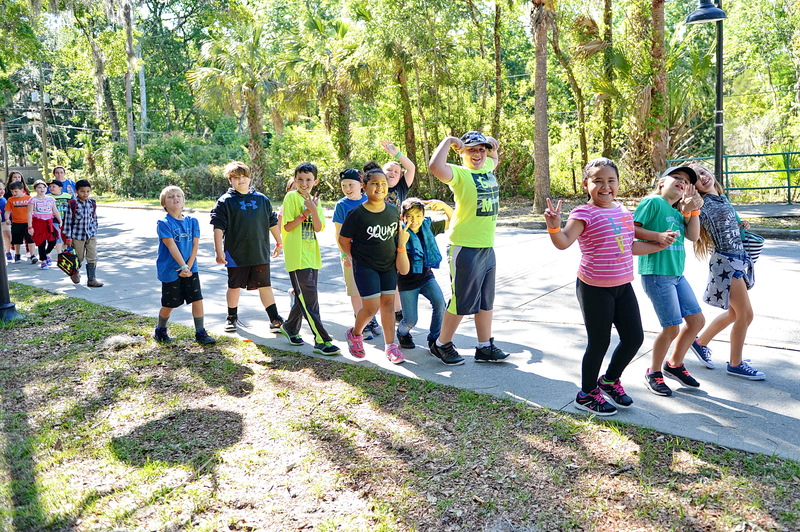 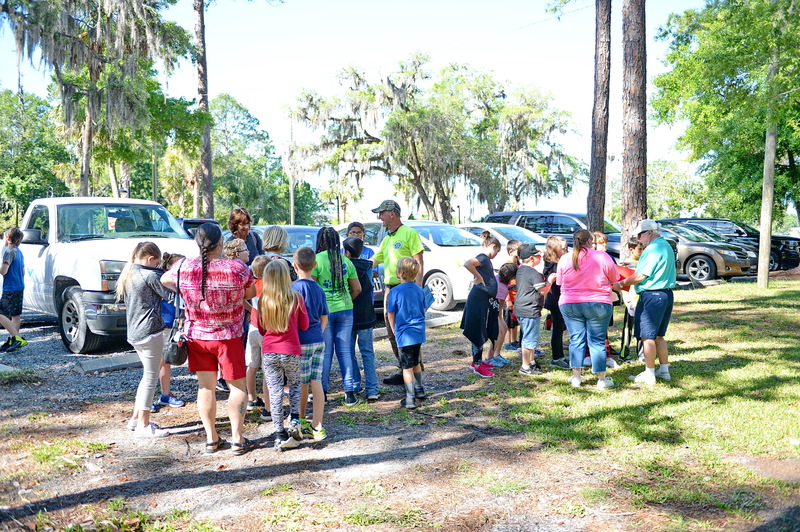 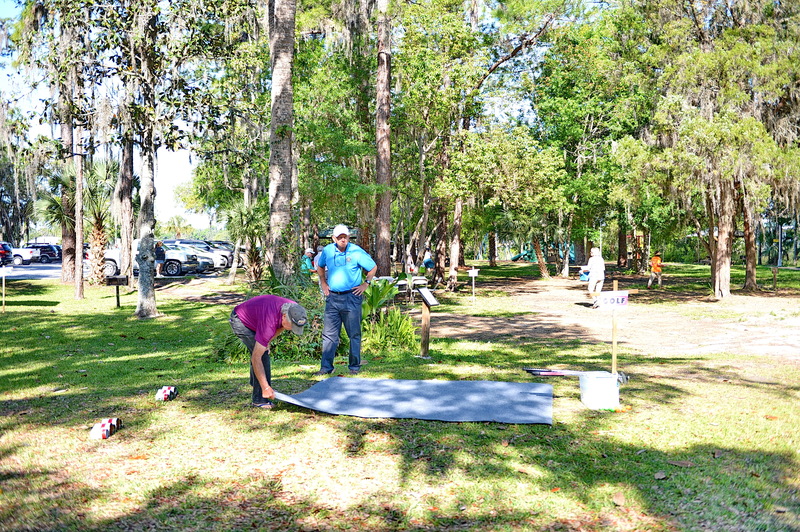 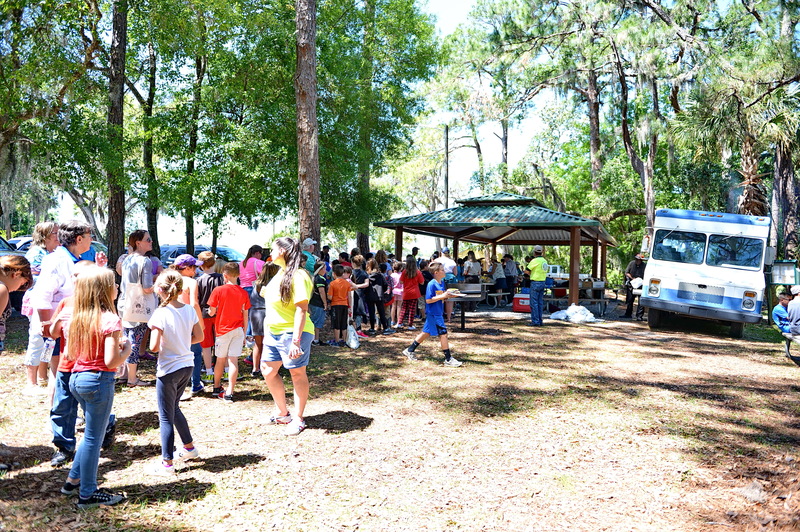 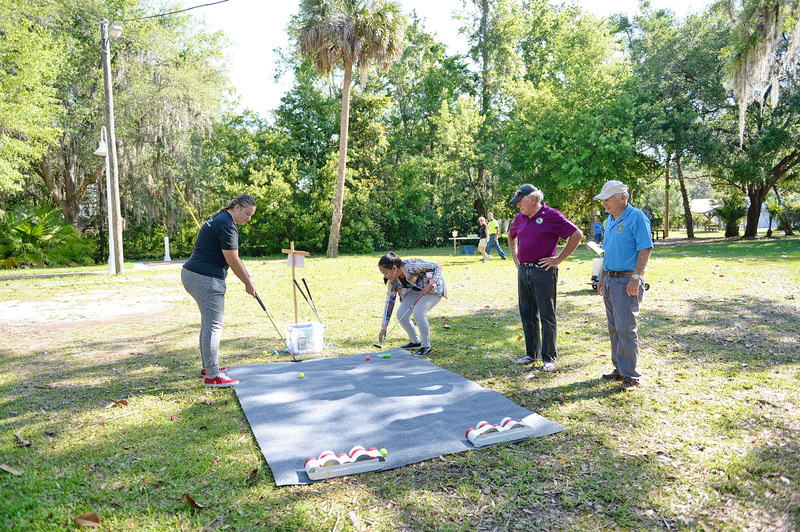 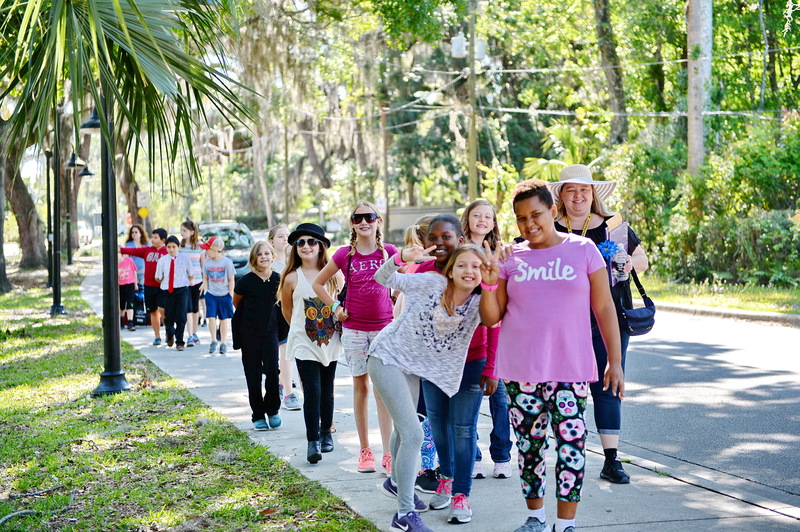 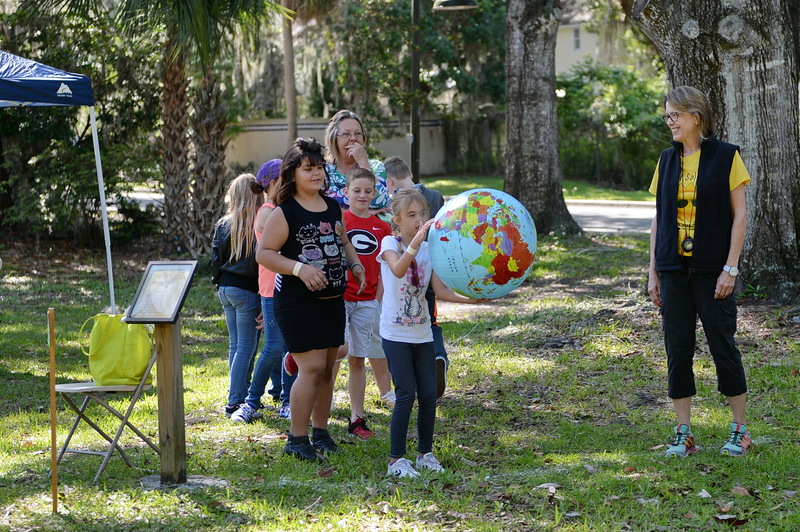 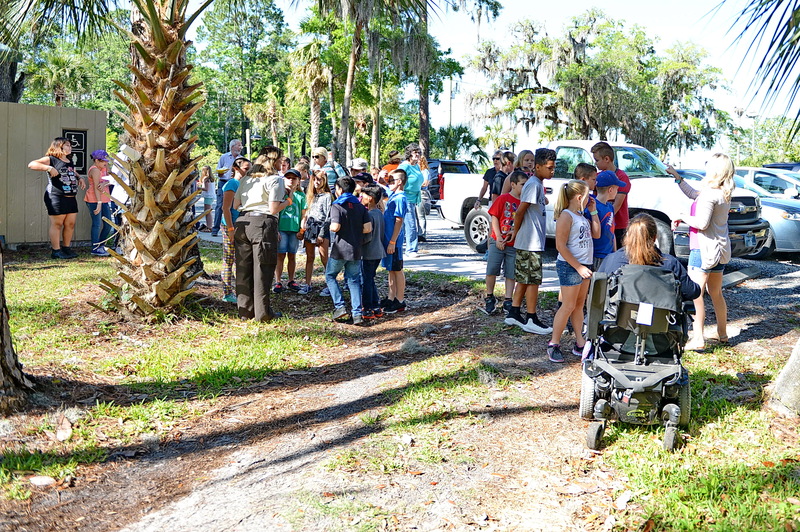 Earlier that day, these students had a unique field trip sponsored by Kings Bay Rotary were they participated in a cleanup of a local park followed by activities to enhance their learning. 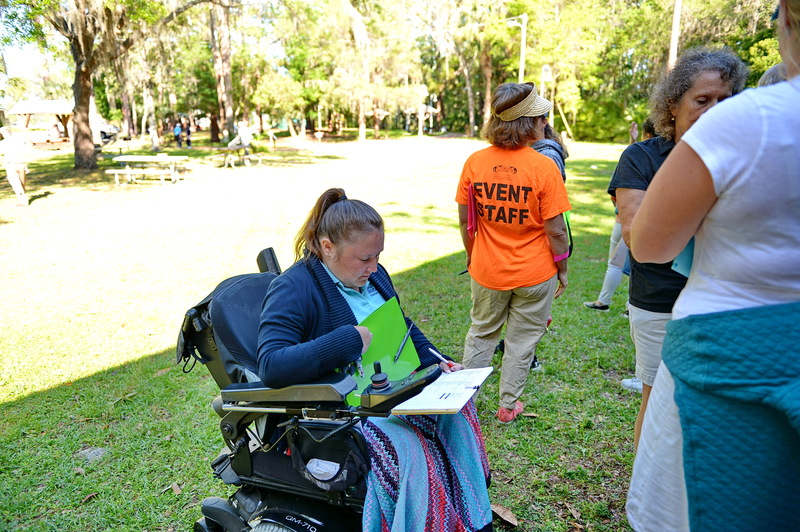 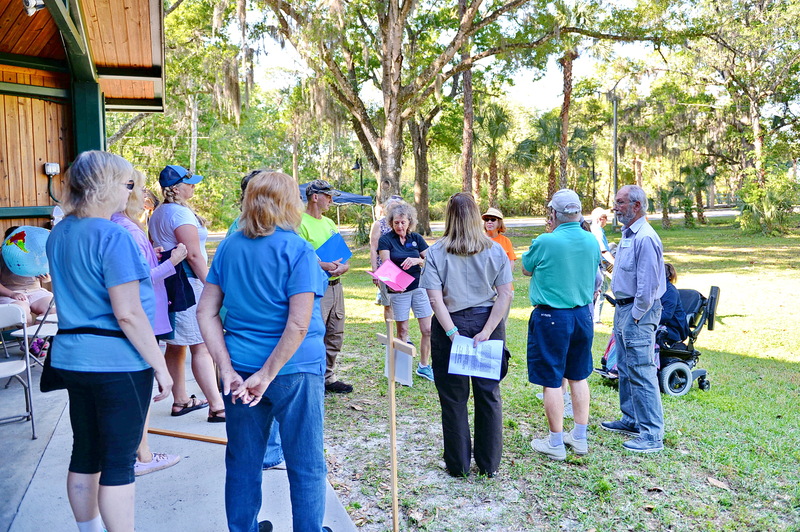 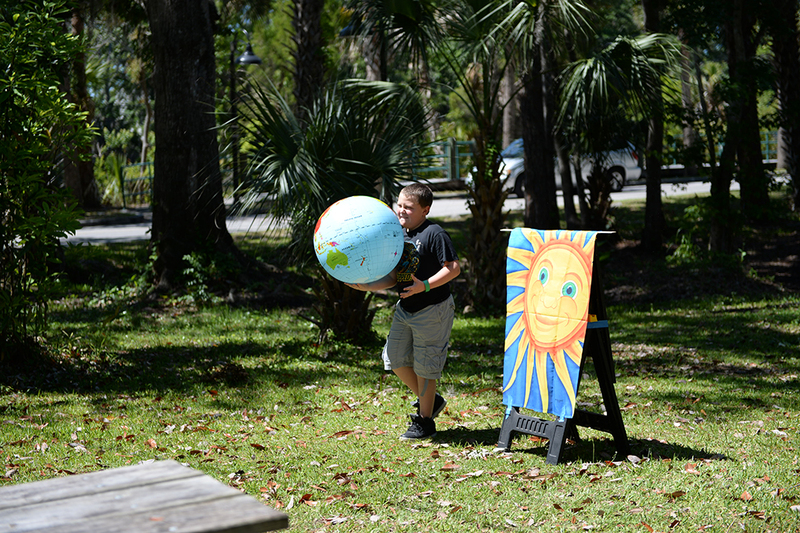 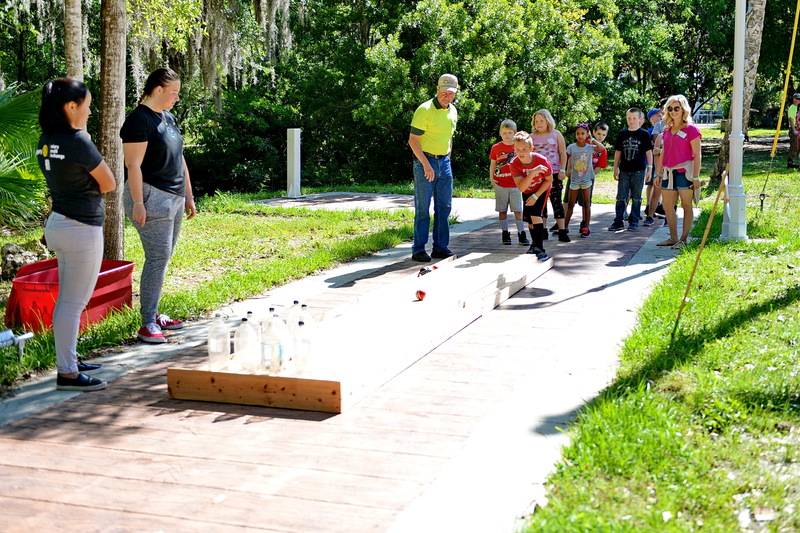 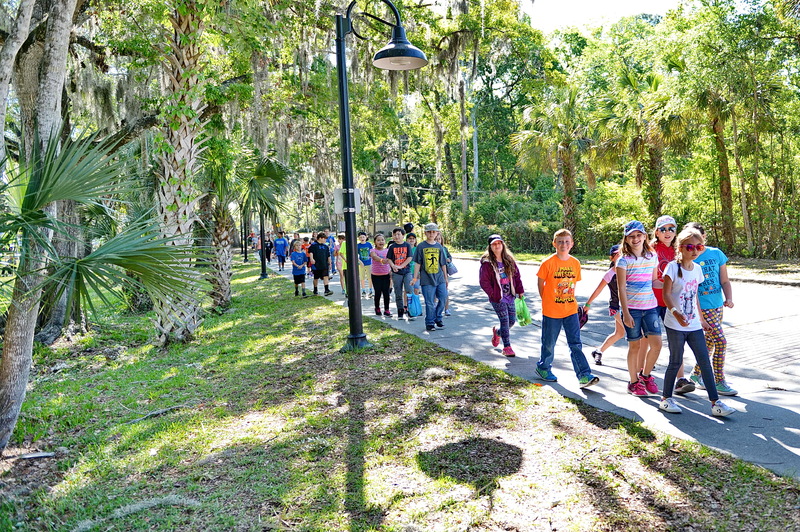 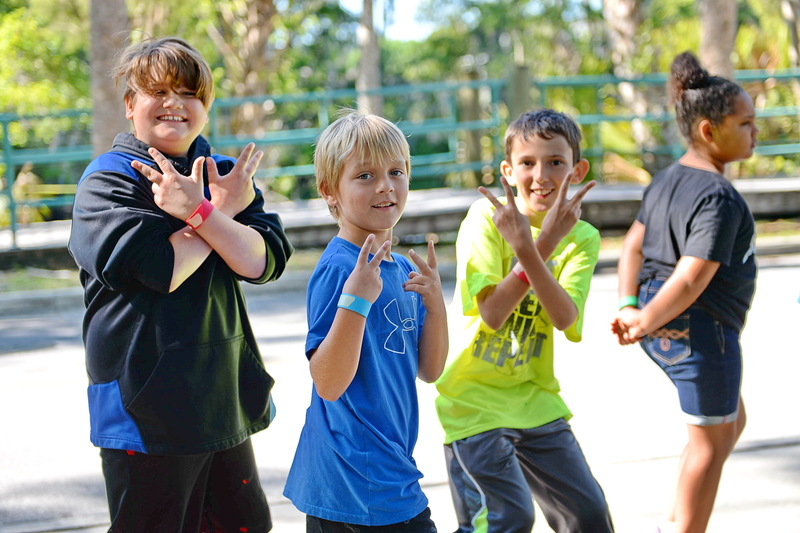 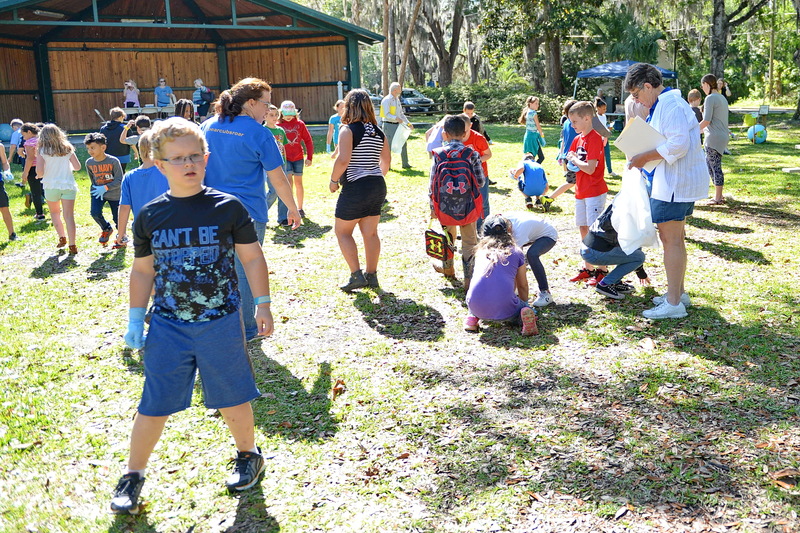 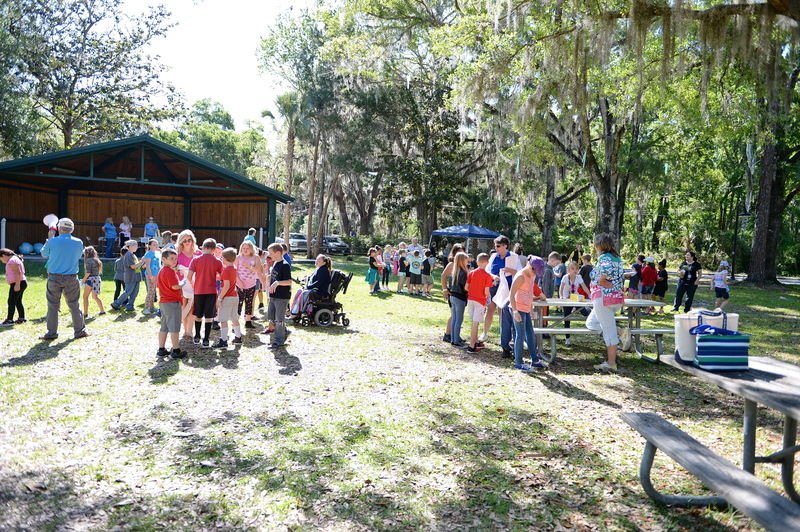 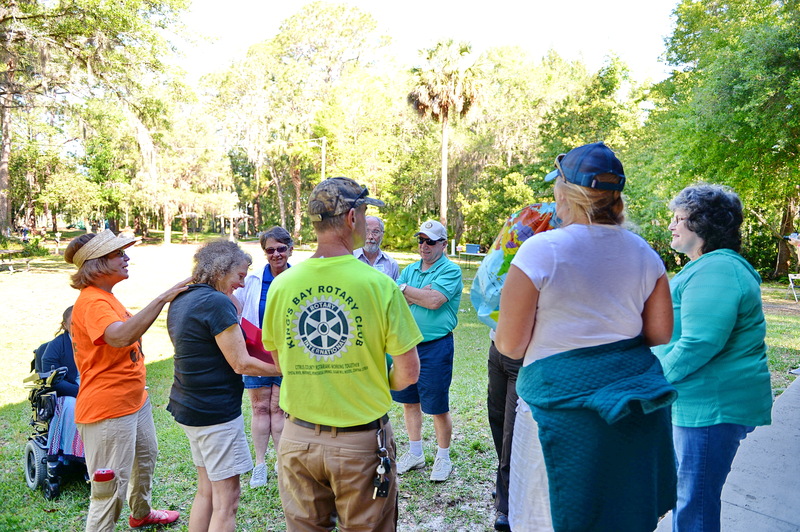 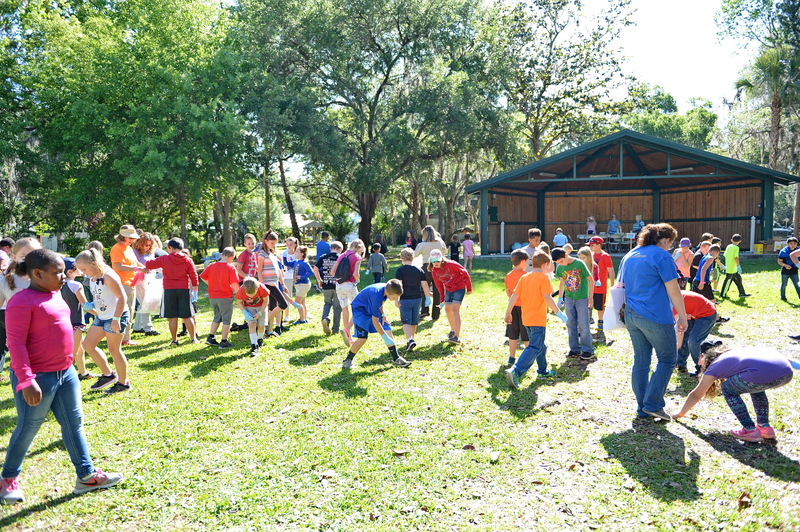 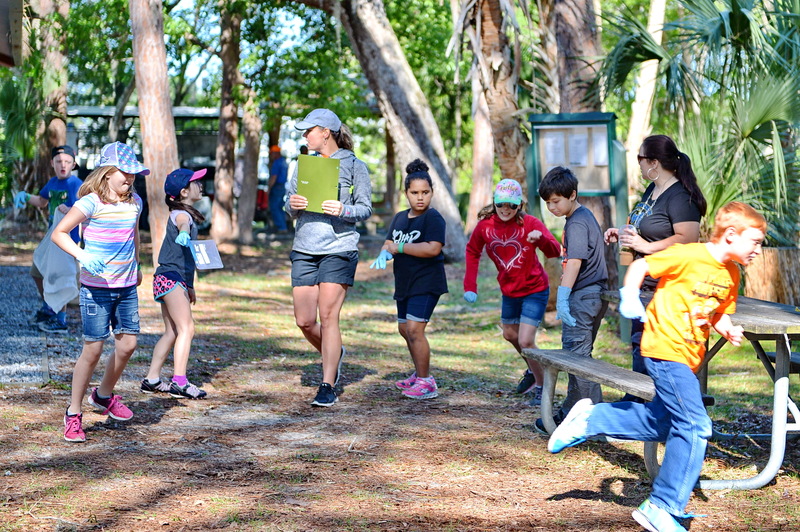 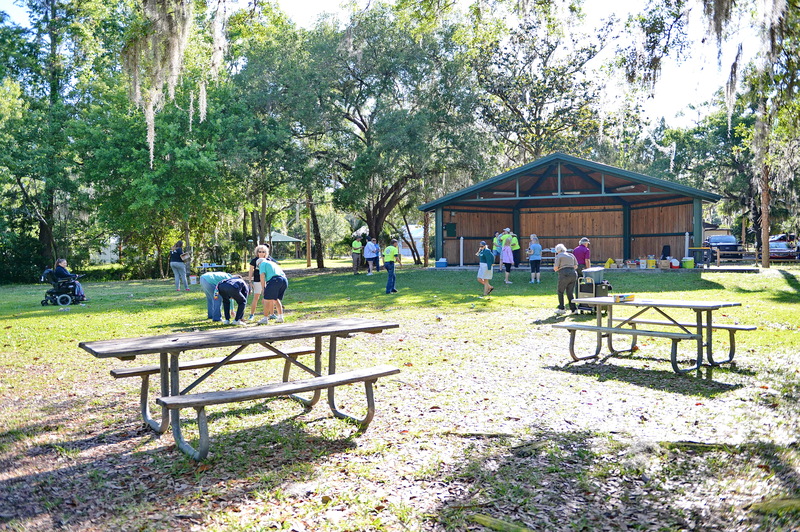 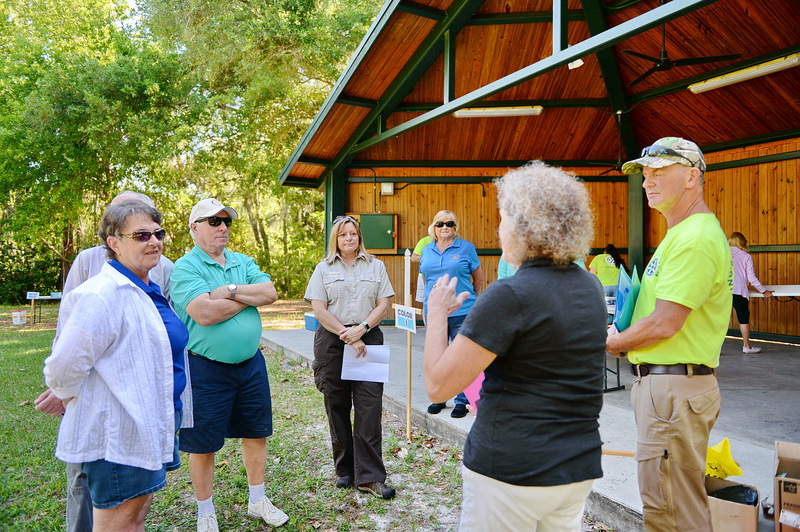 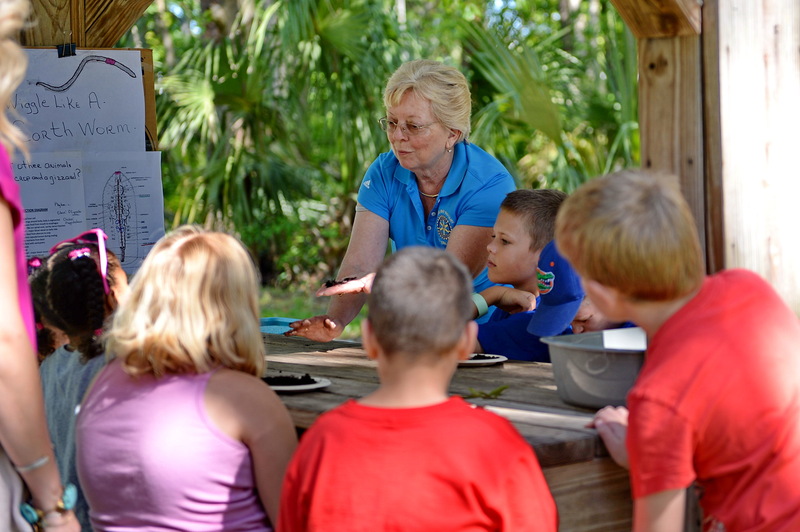 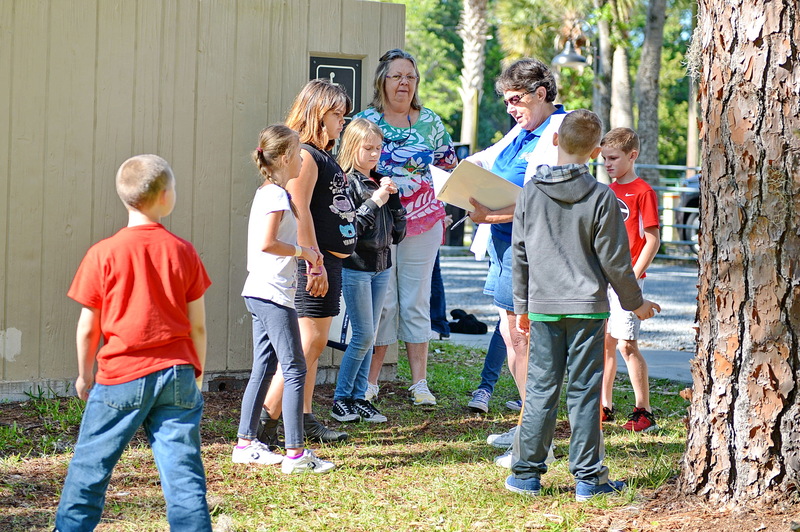 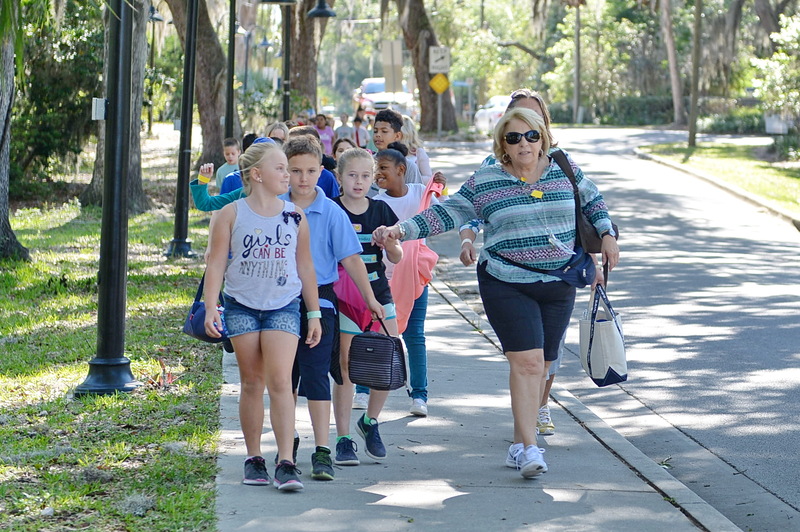 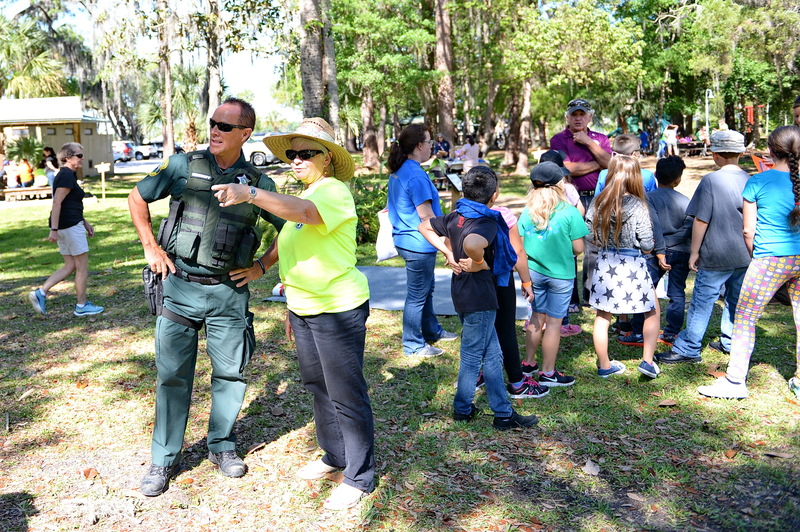 Students began the day by scavenging Kings Bay Park in Crystal River. 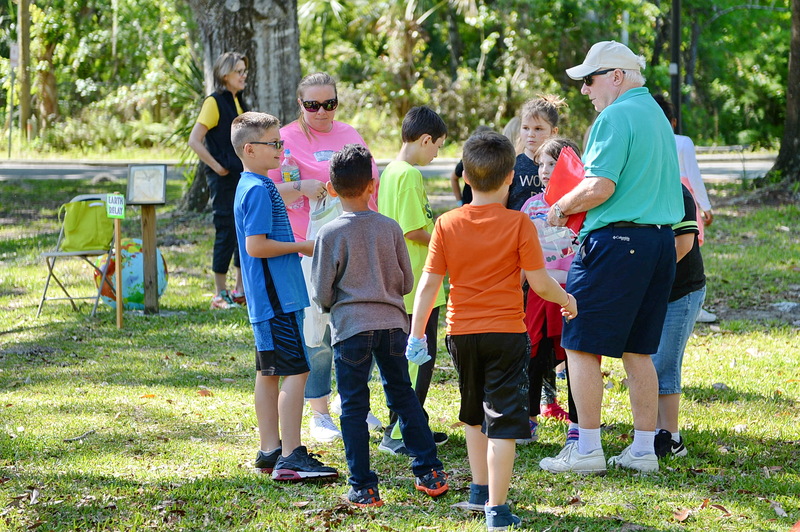 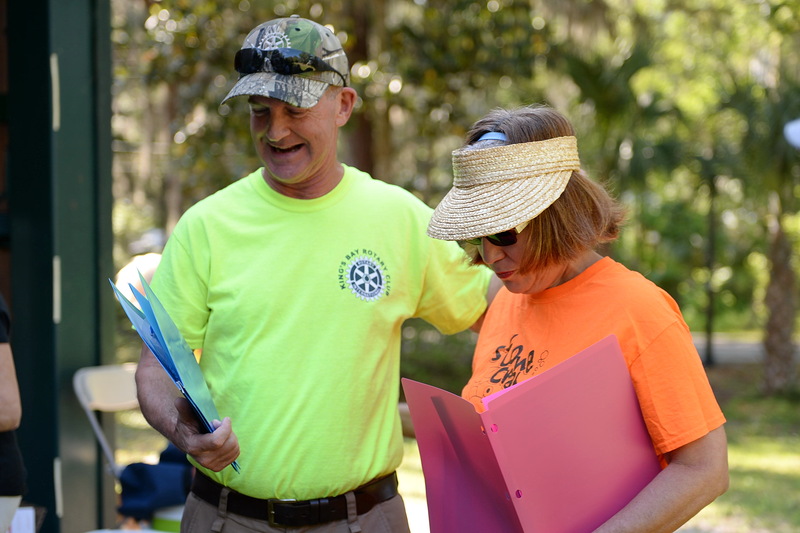 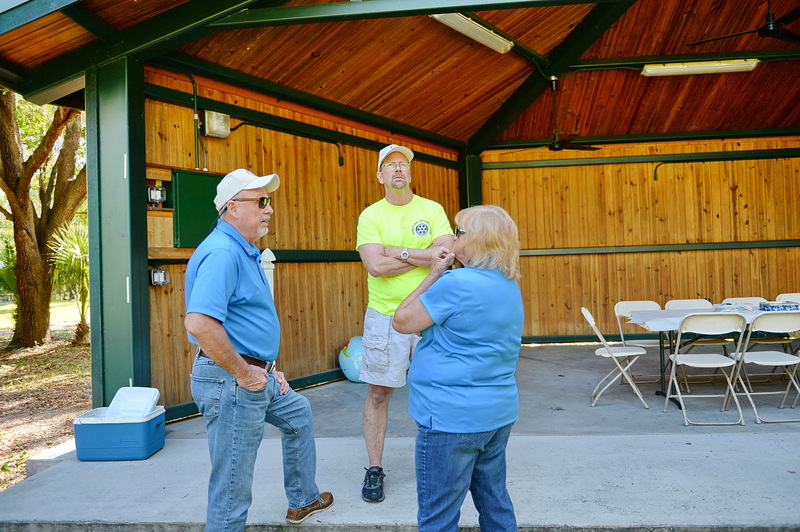 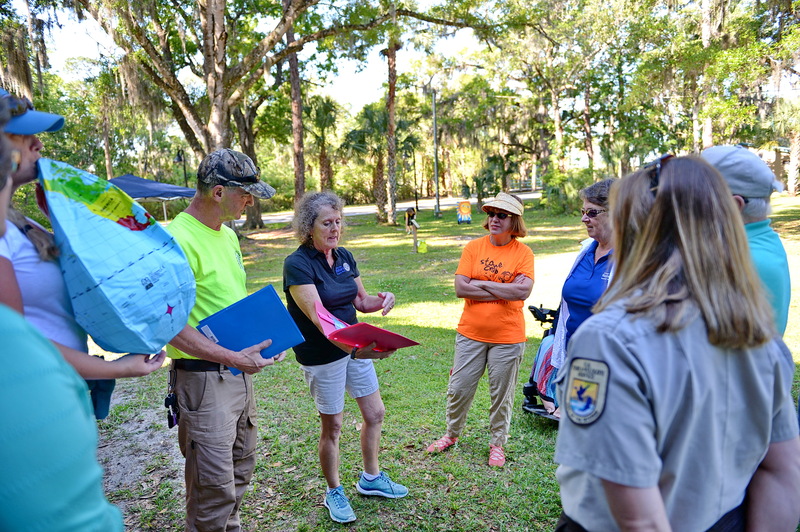 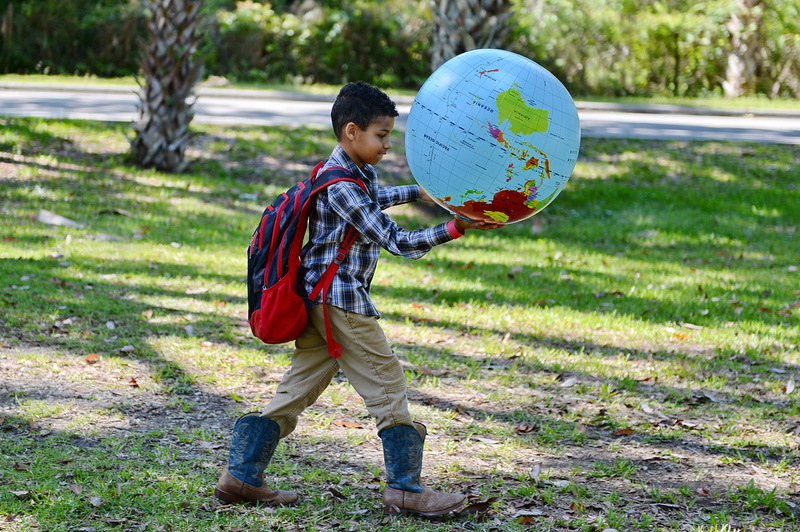 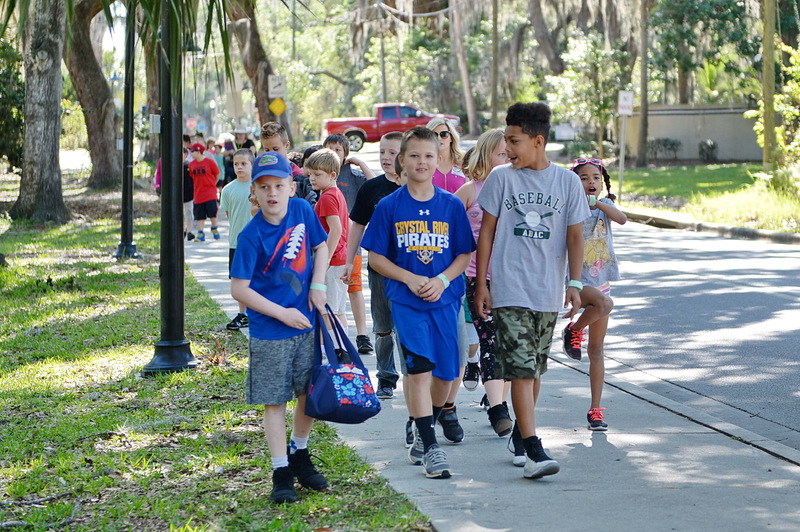 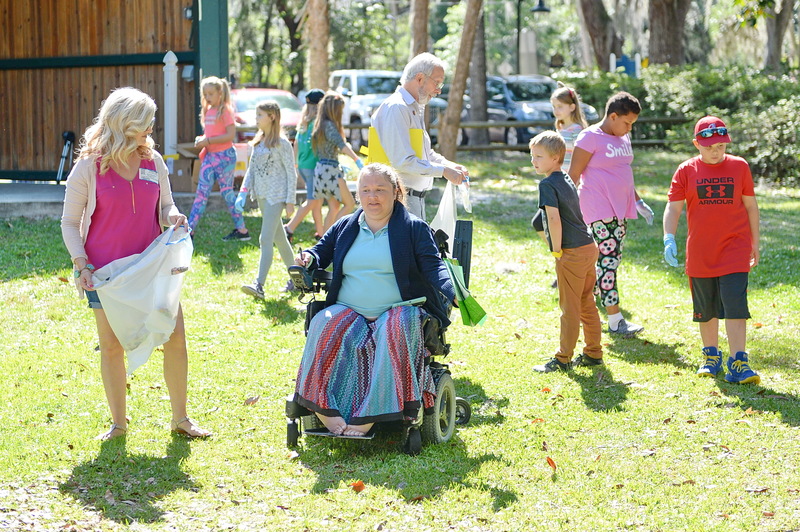 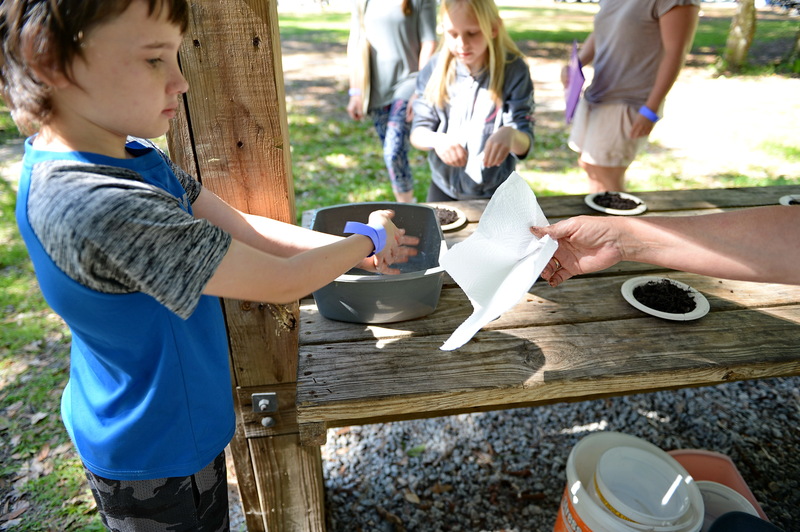 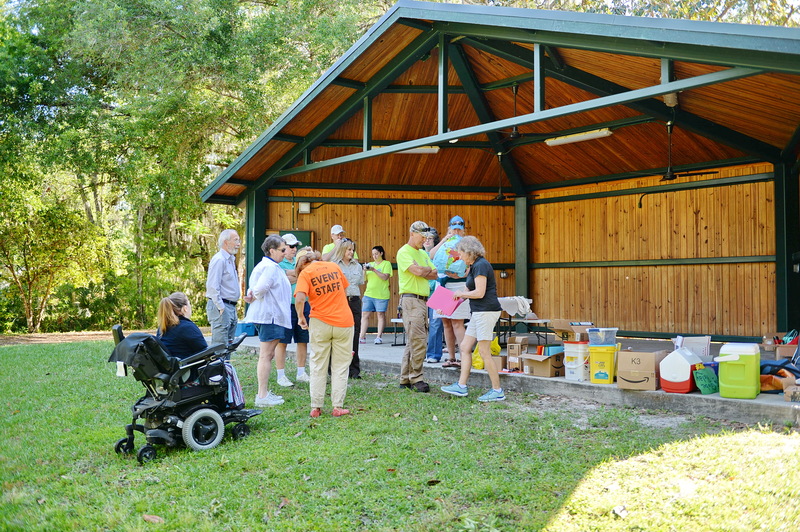 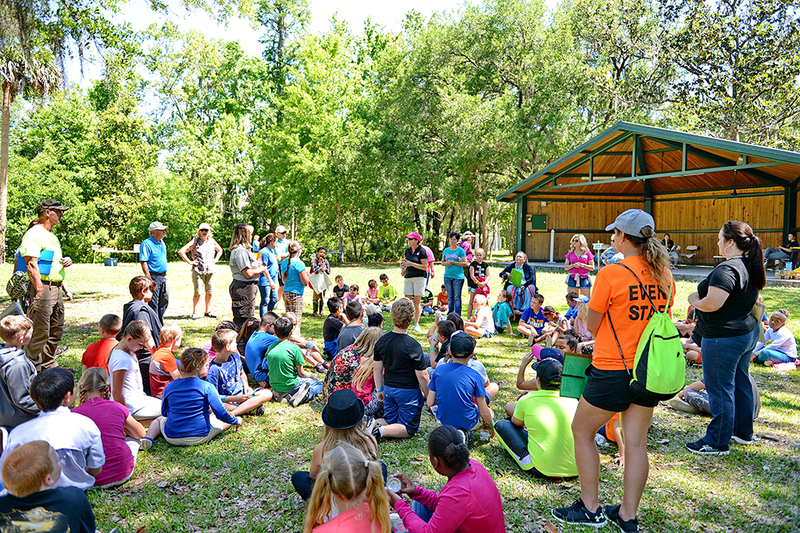 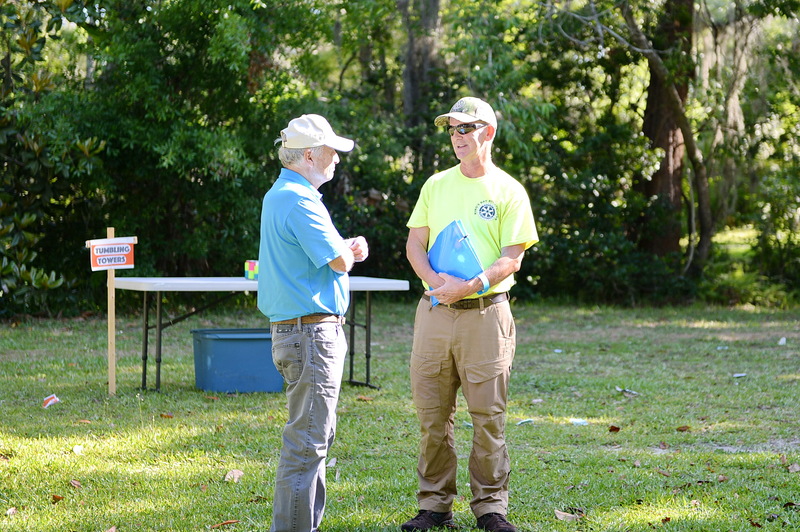 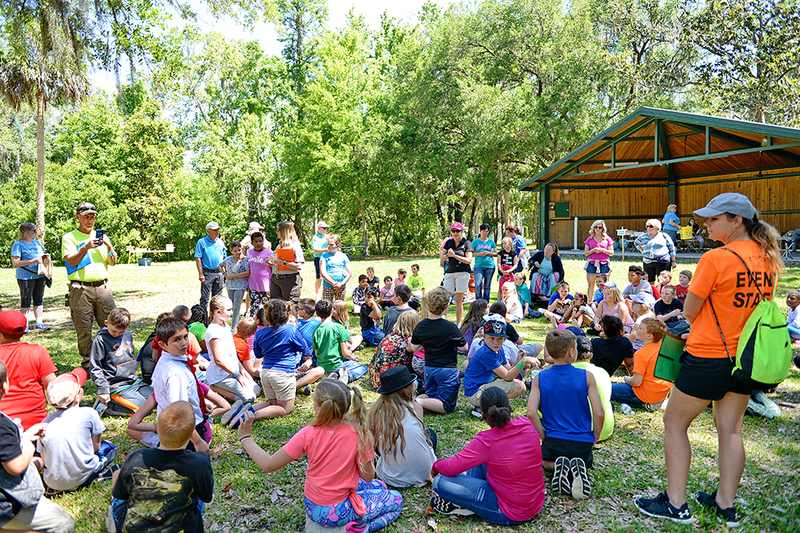 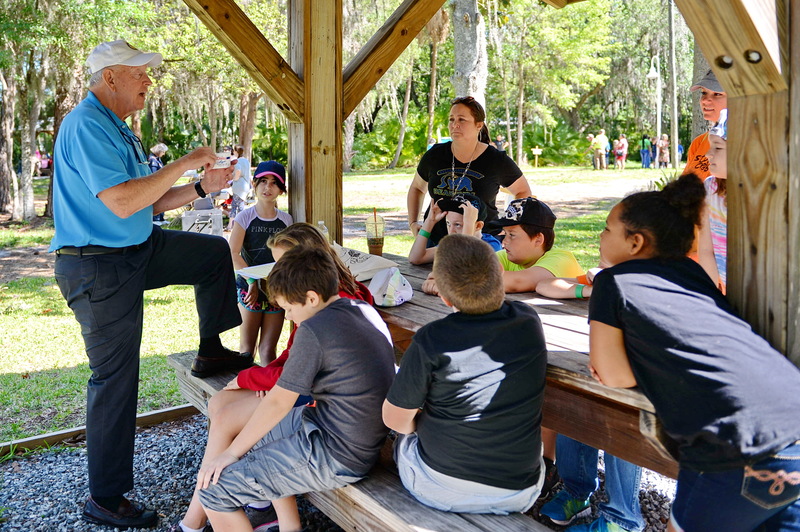 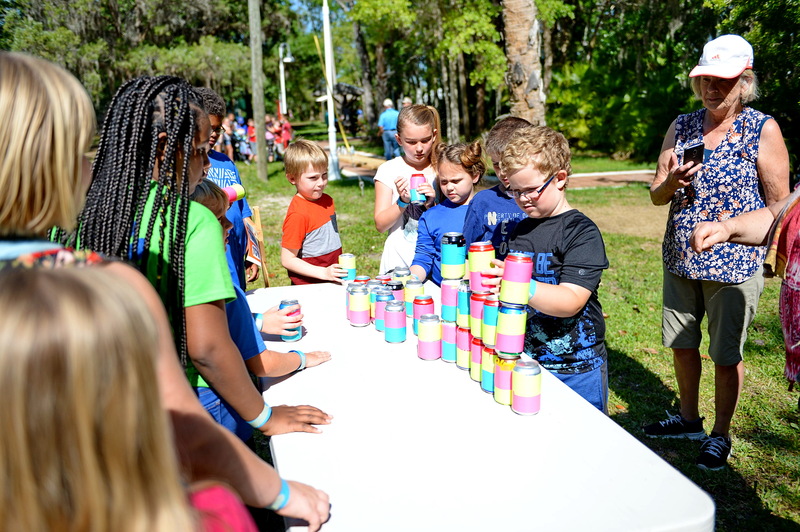 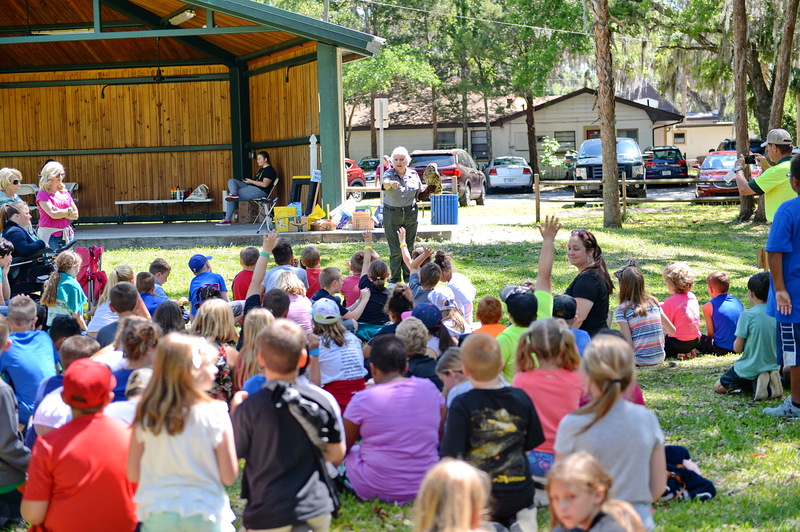 Ten groups, which each included about a dozen third graders, a chaperon or teacher, and a Rotarian, spent forty minutes collecting recyclables and trash throughout the park. 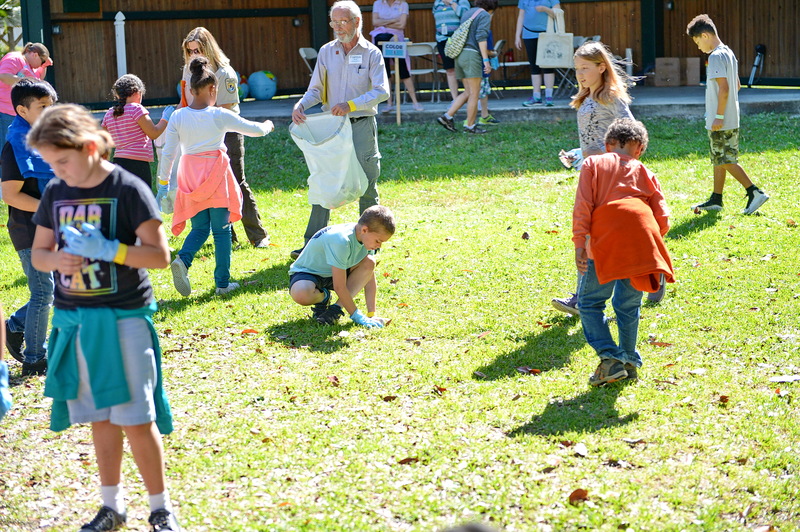 Students were amazed at the amount of trash people just threw on the ground. 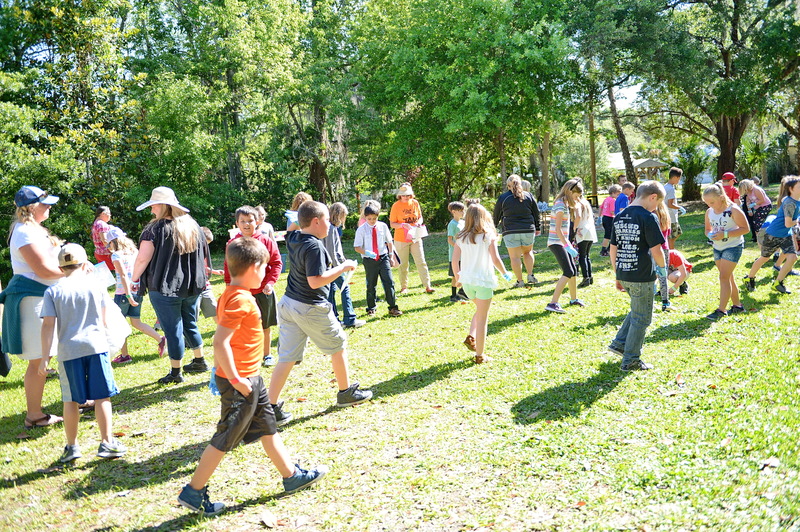 Next students rotated through stations to enhance their learning of the day. 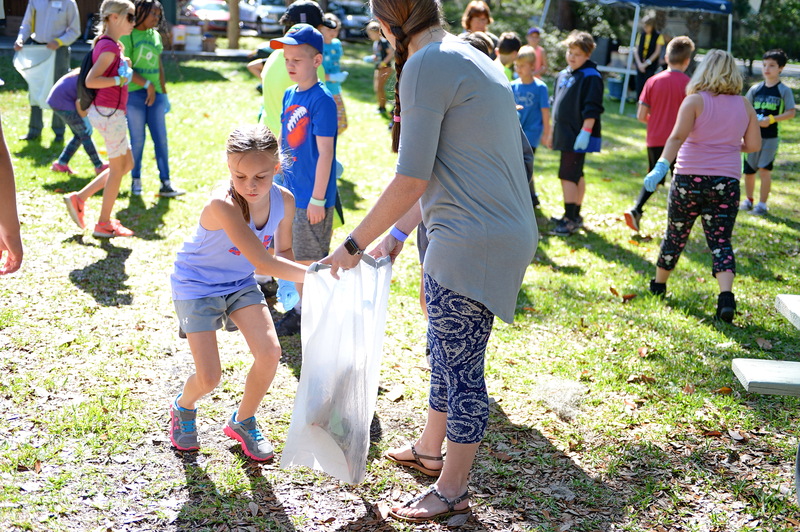 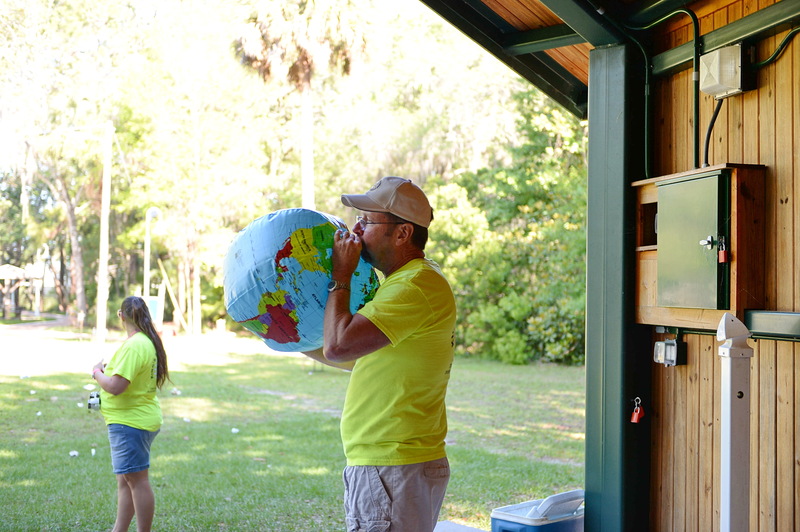 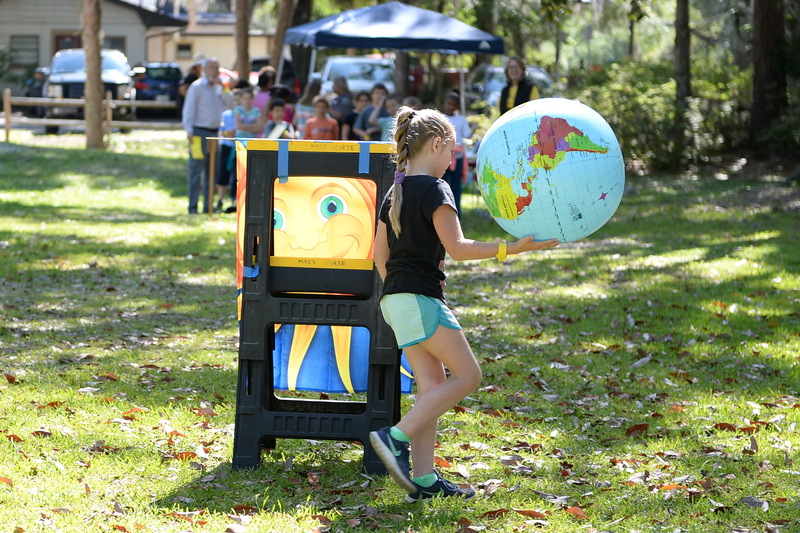 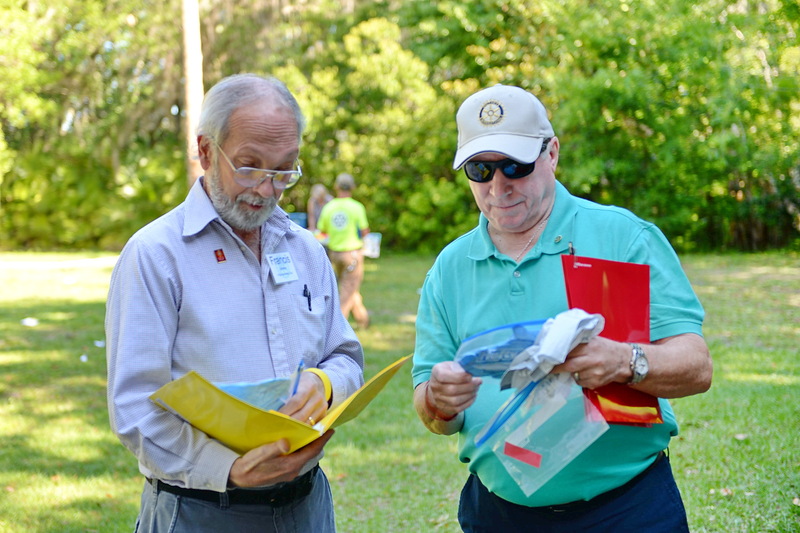 Each station was manned by a Rotarian who spoke to students about the importance of recycling, conserving, and what impact they could have on the environment. 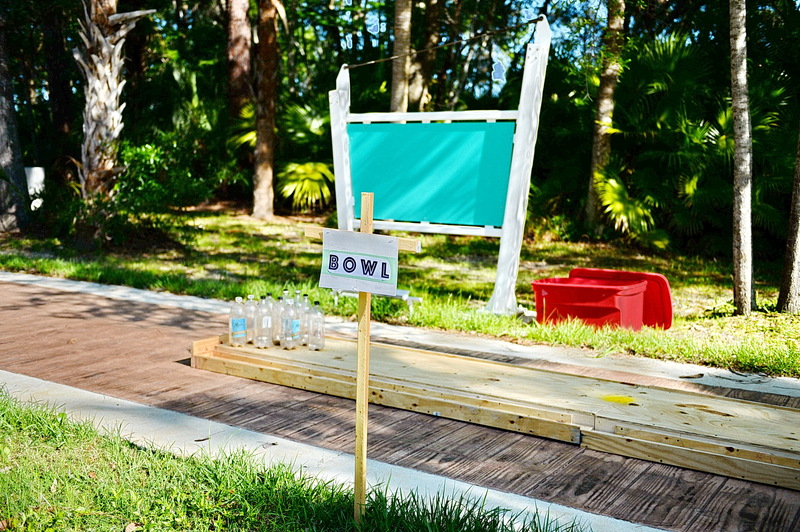 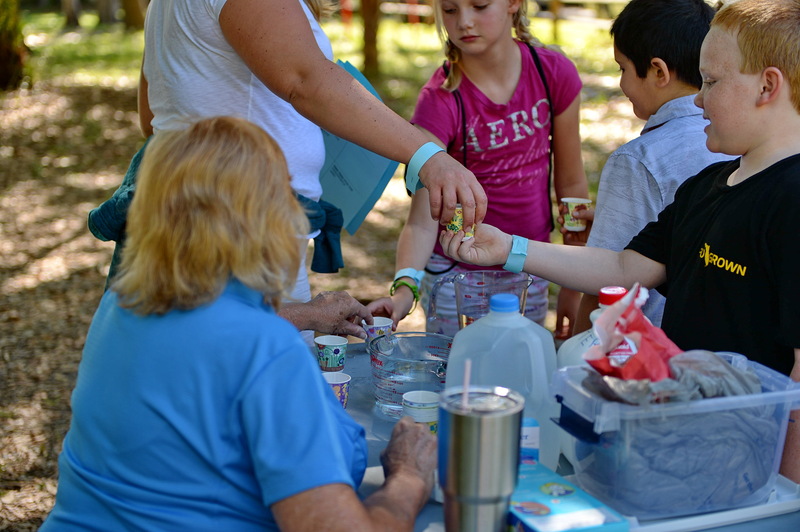 At the water station, students demonstrated a real world example of water conservation. 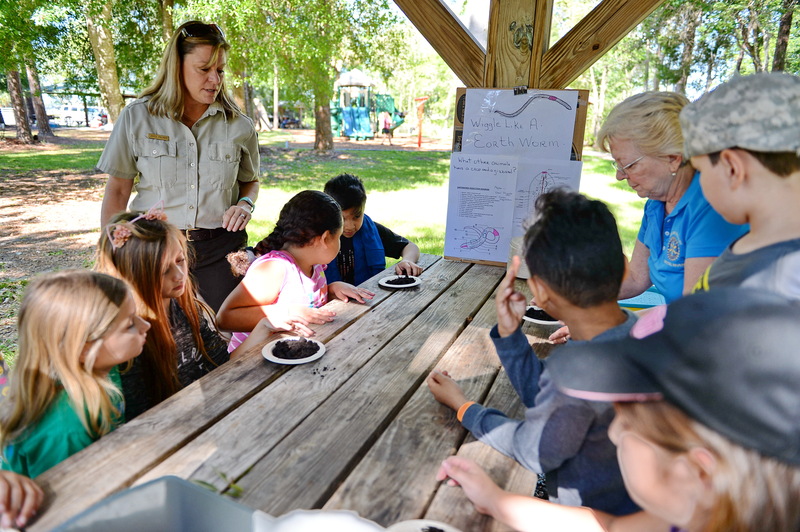 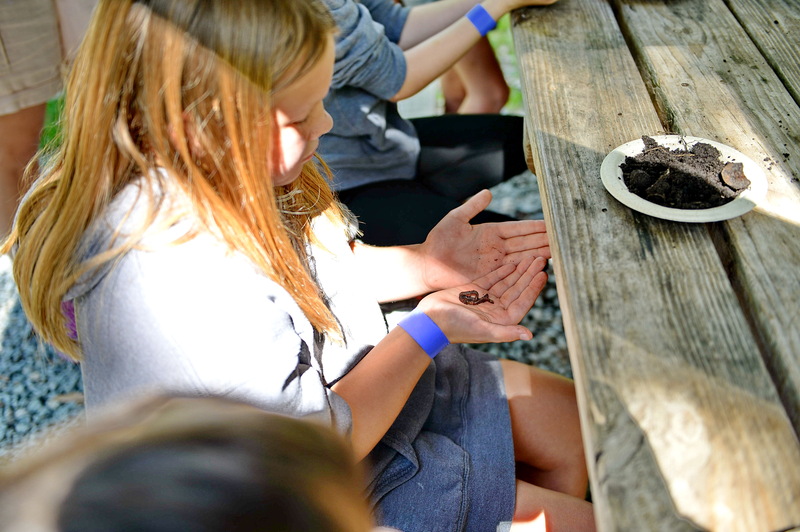 The earthworm demonstration opened students’ eyes to composting. 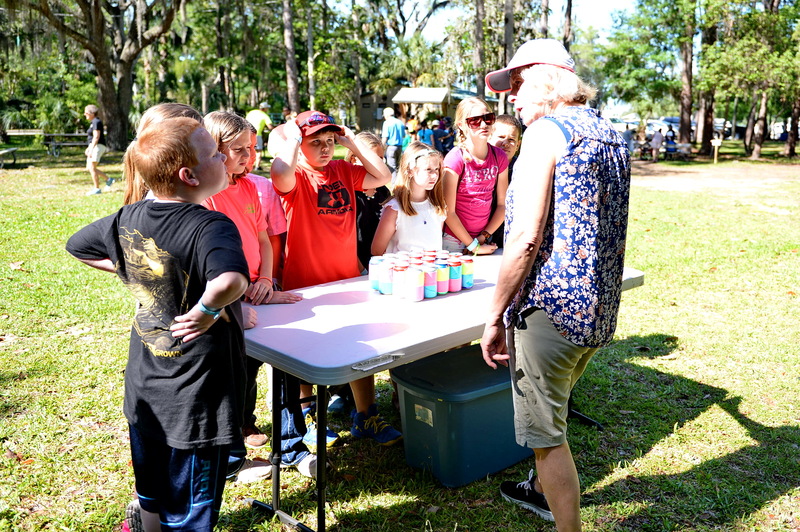 The quiz station gave students the opportunity to show what they had learned. 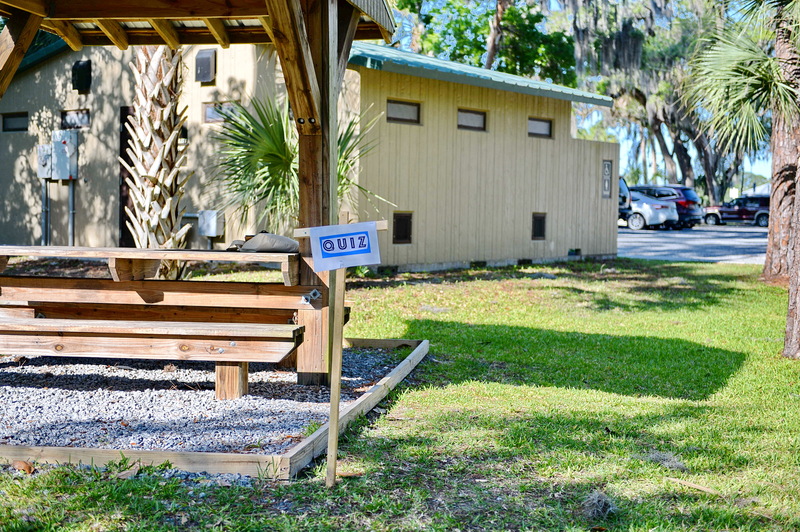 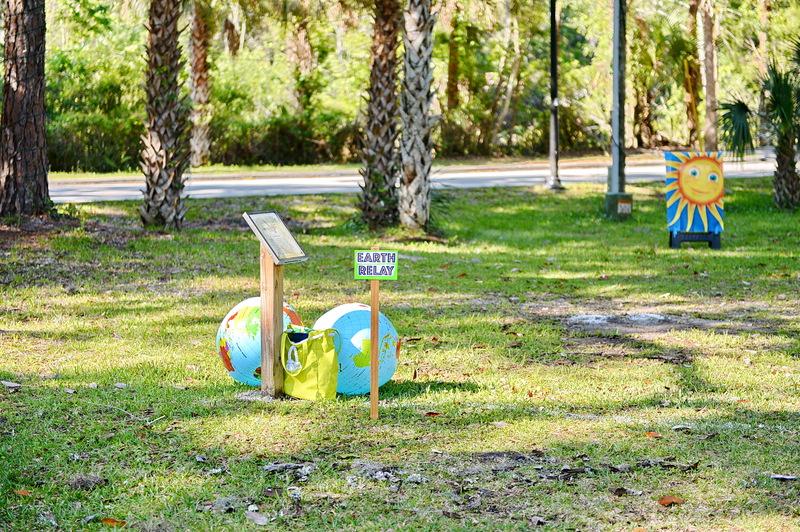 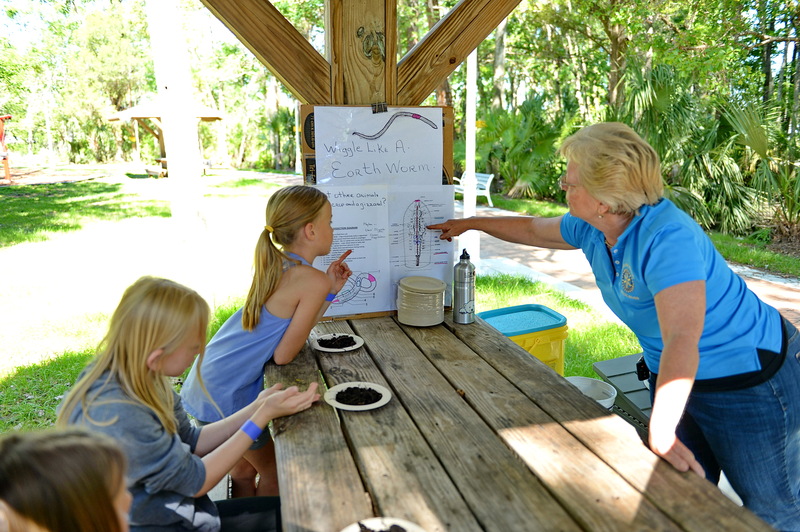 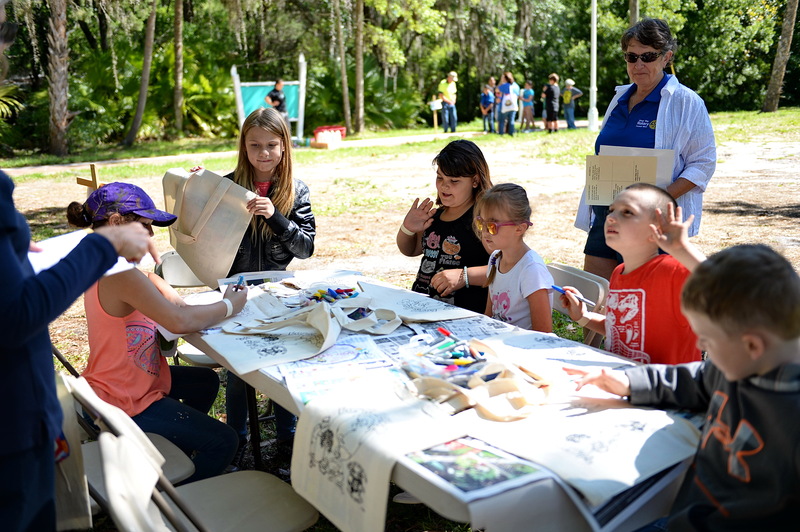 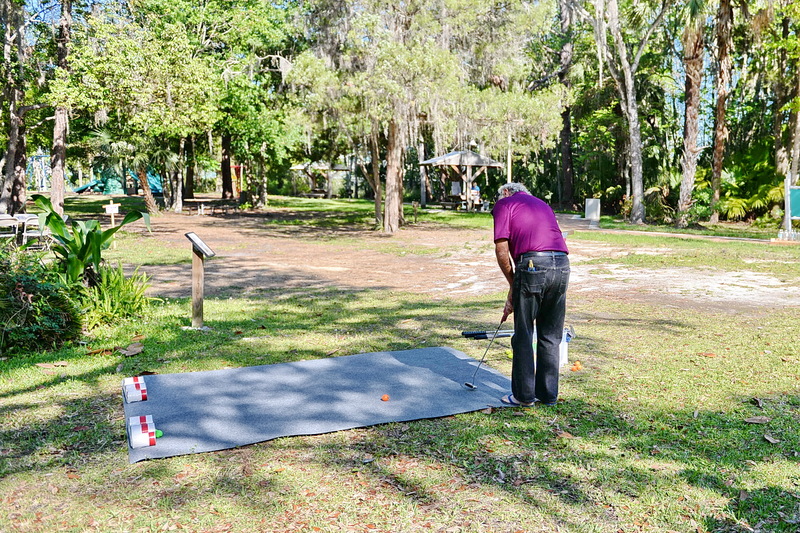 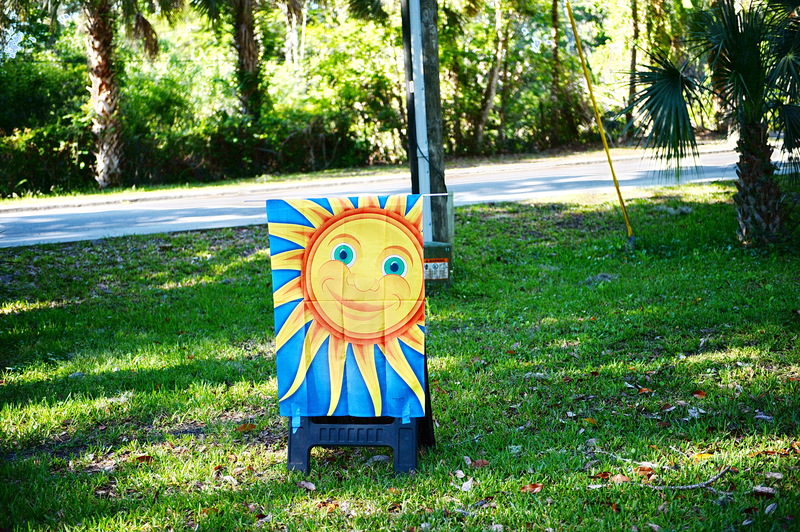 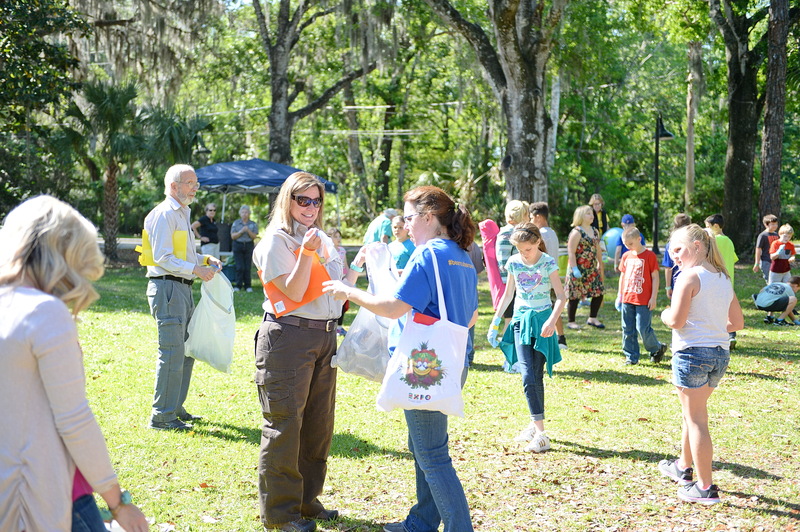 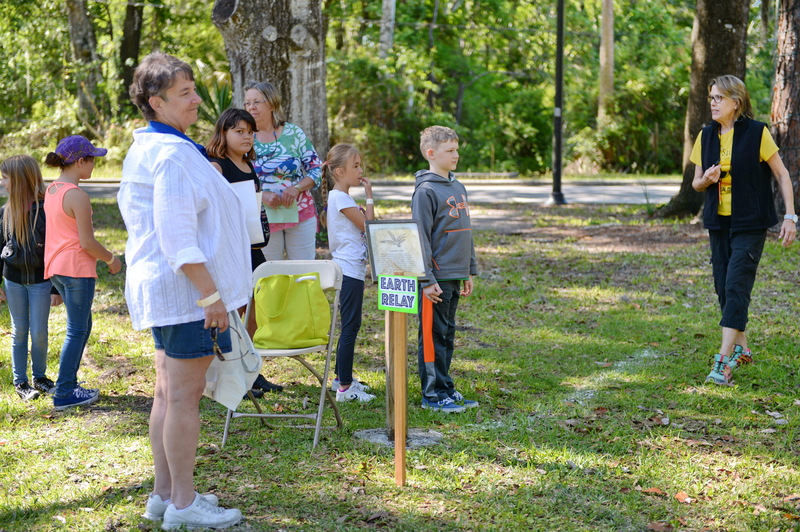 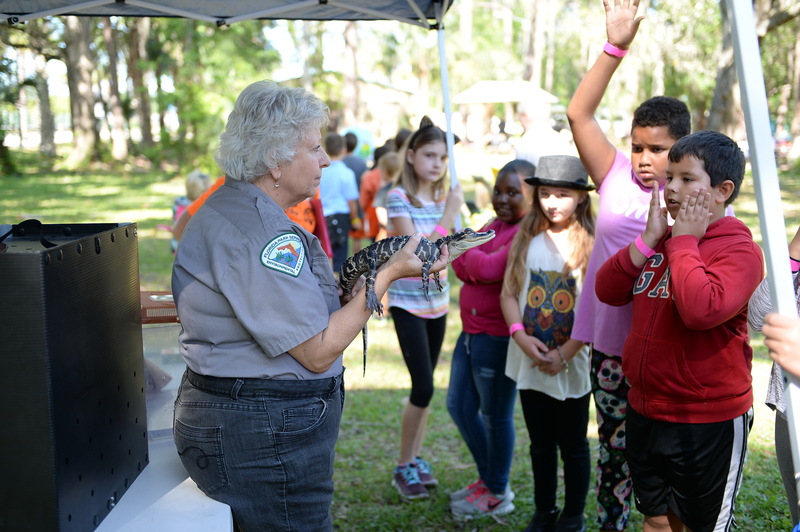 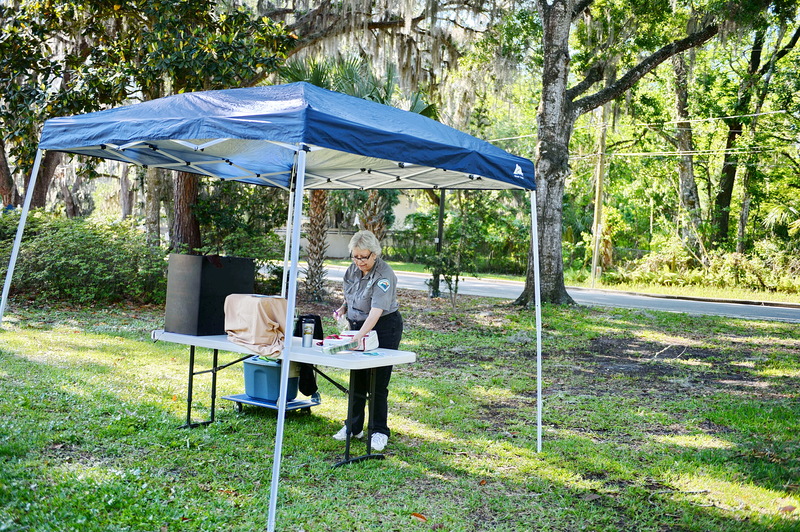 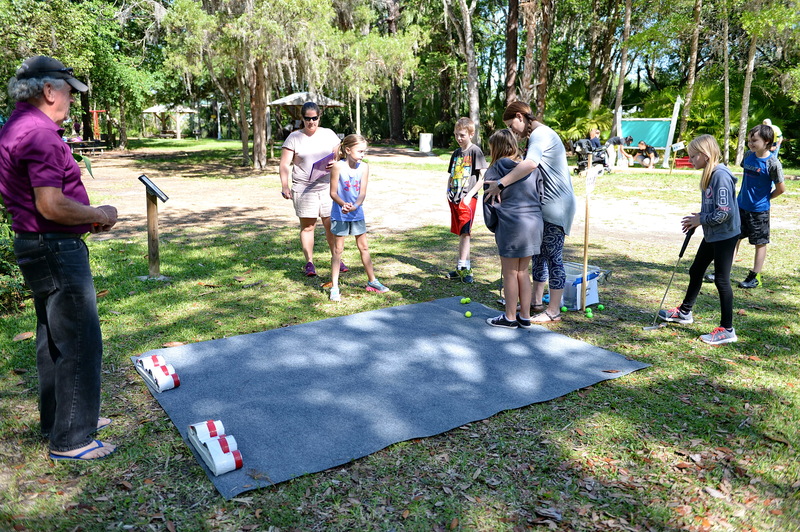 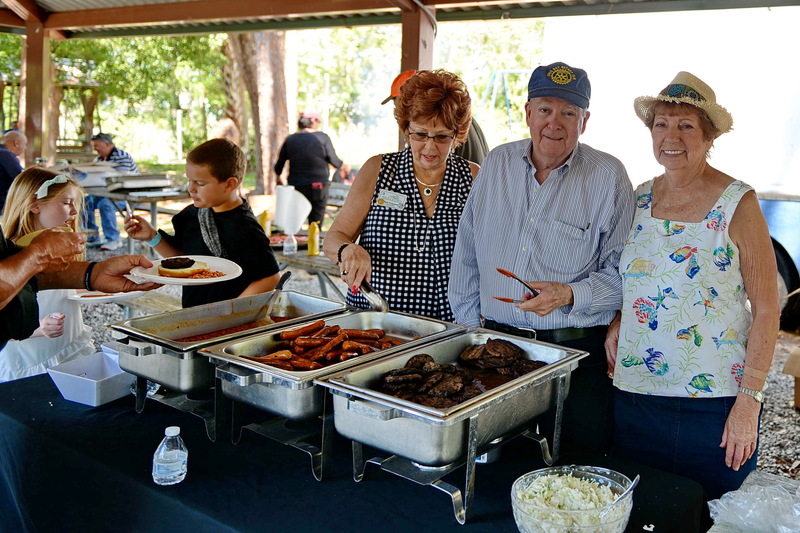 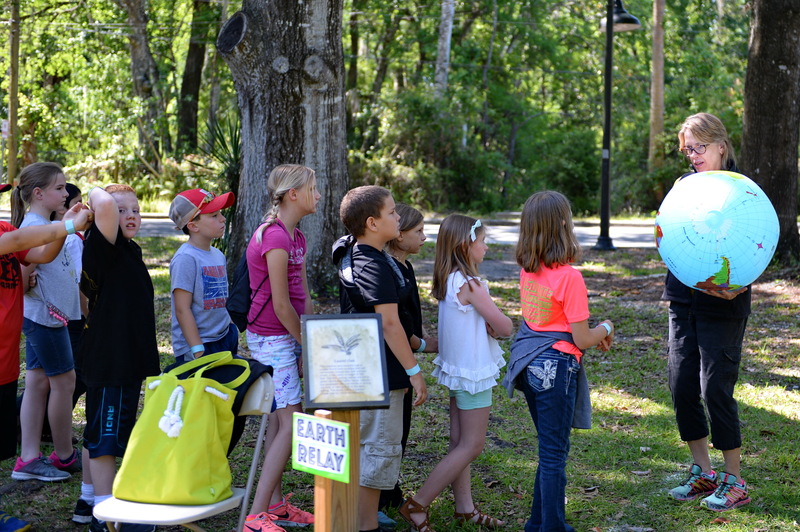 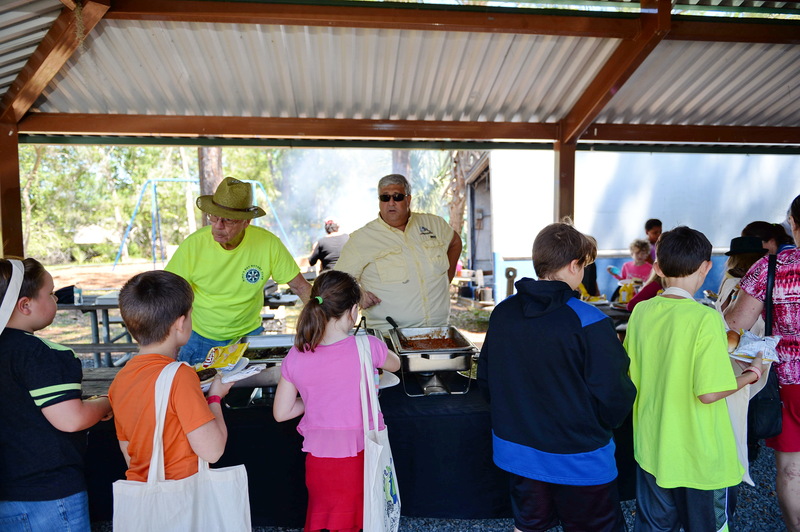 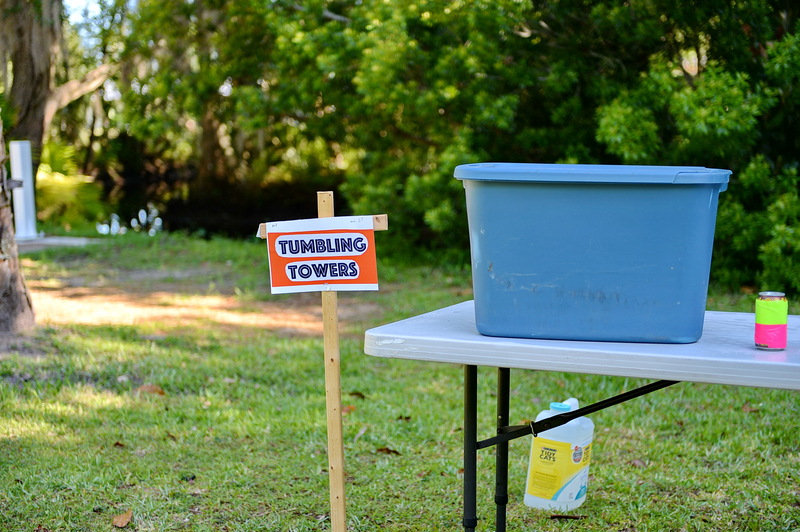 The stand-out station by far, was one manned by the Homosassa Wildlife Park that showed a baby crocodile and an owl. 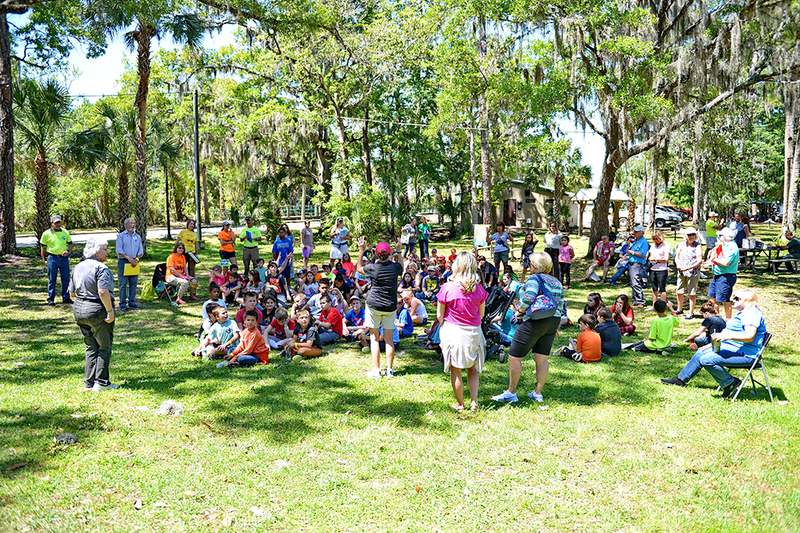 Students needed to be quiet and still (hard! 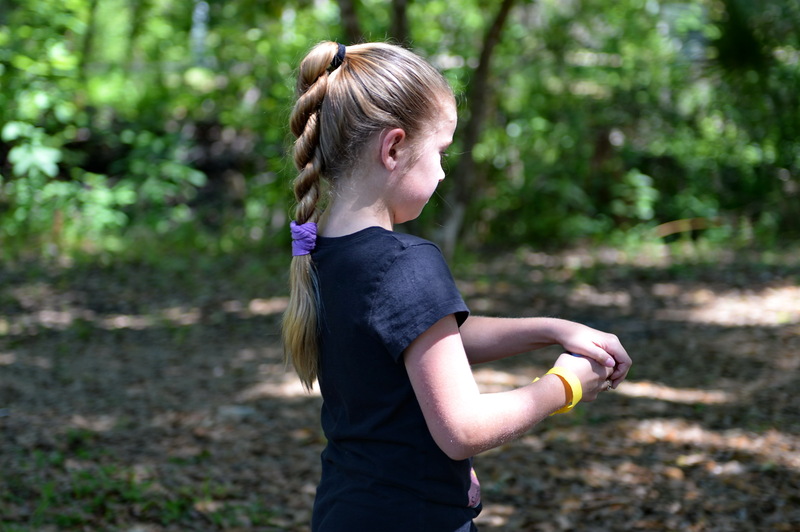 but achieved)so the owl was not frightened! 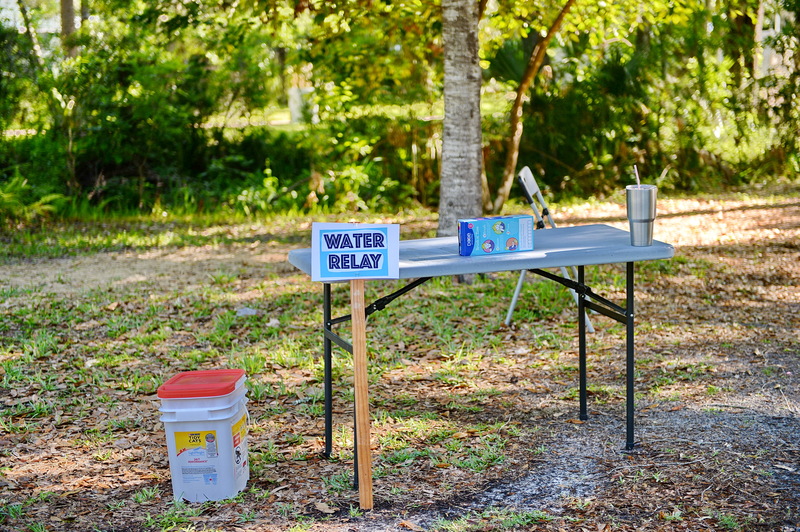 There were a total of ten stations. 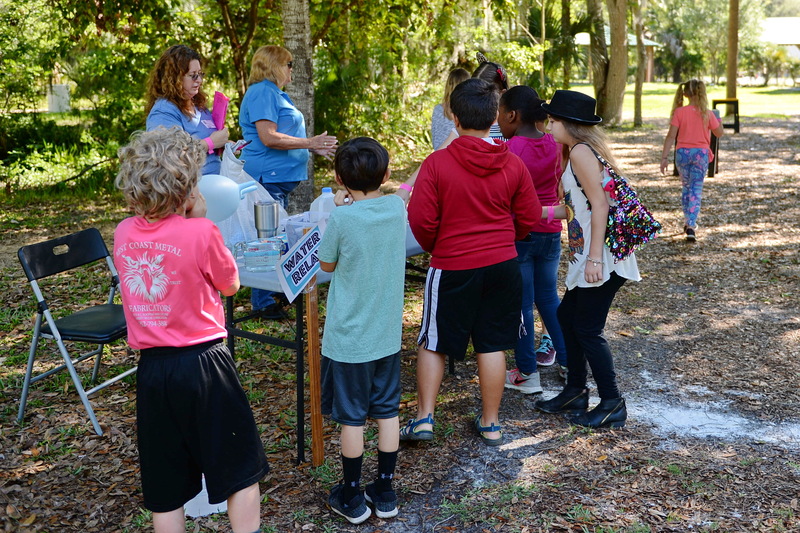 Two stations taught students an important recycling lesson that they could immediately go home and share with their families. 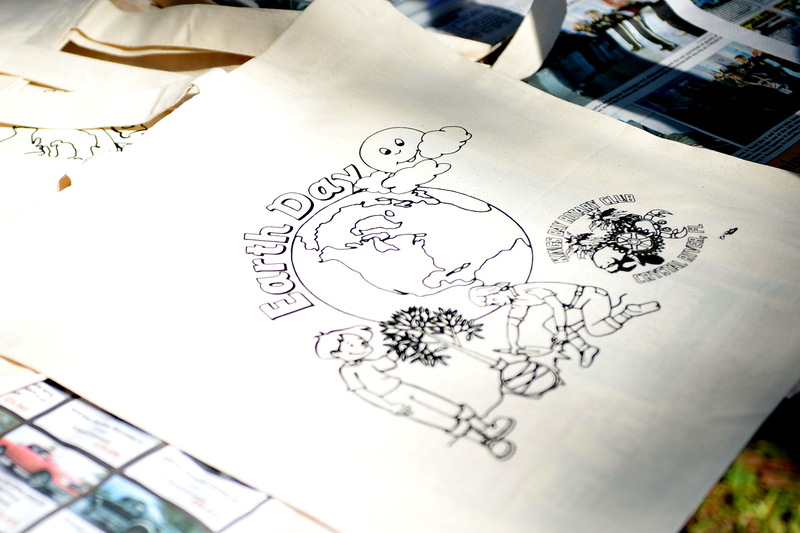 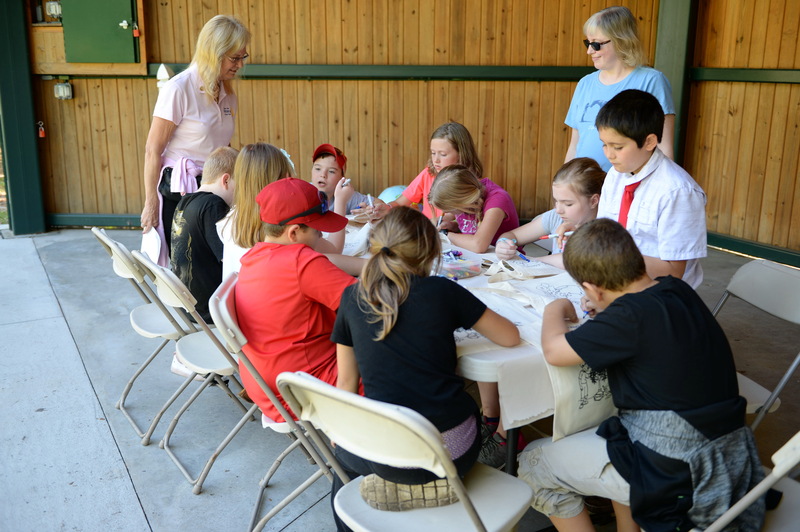 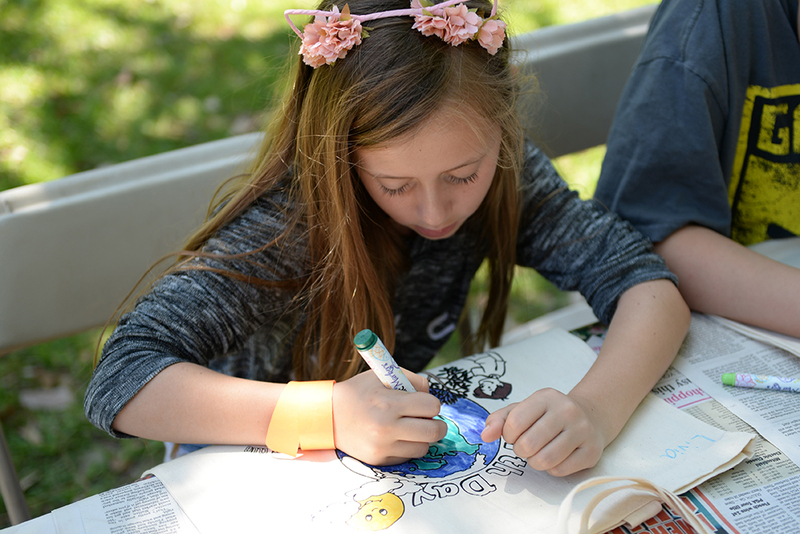 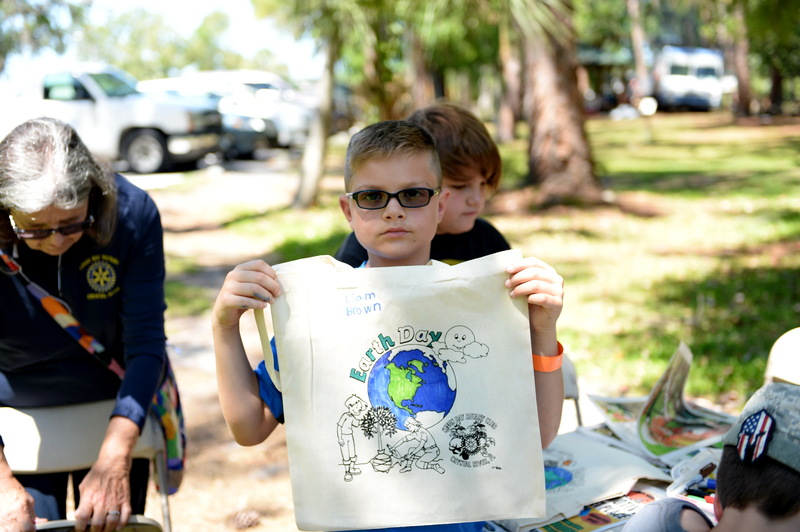 Here, Kings Bay Rotary provided each third grader with a cloth reusable shopping bag and talked to them about how reusing this bag could save the environment from plastic bags “just one bag at a time.” Students were able to decorate their bag, and take it home with them. 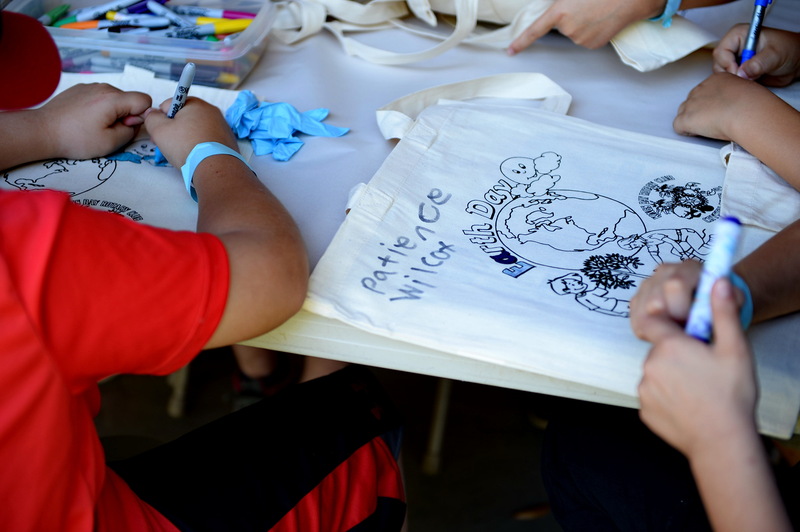 Many students exclaimed they couldn’t wait to use them the next time they went shopping with their families. 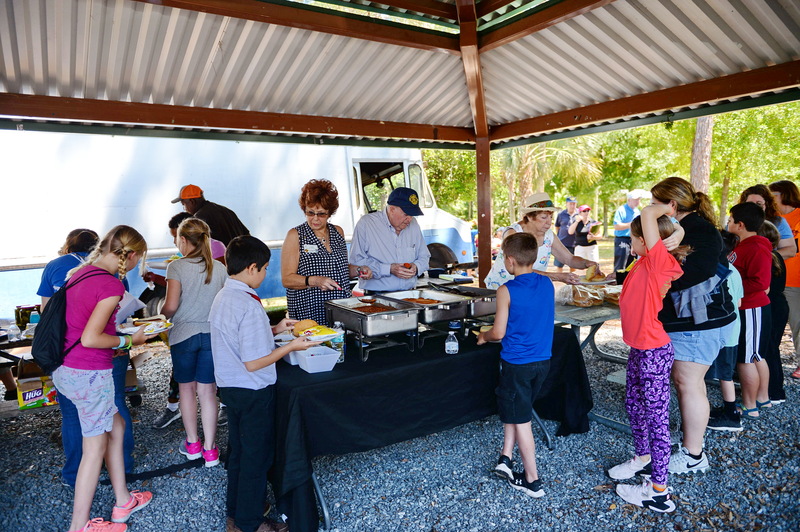 The day concluded with a generous picnic lunch which included baked beans, coleslaw, hotdogs, hamburgers, chips, cookies, and drinks. 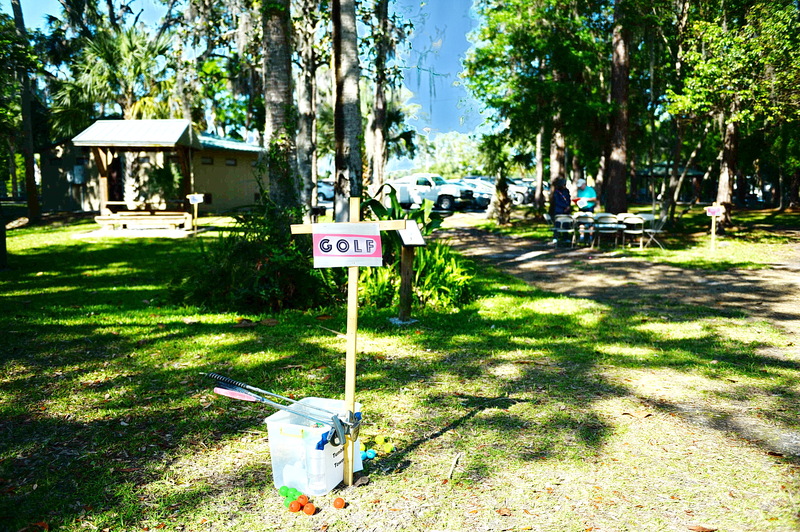 The event concluded with prizes being awarded to the teams based on their total scores. 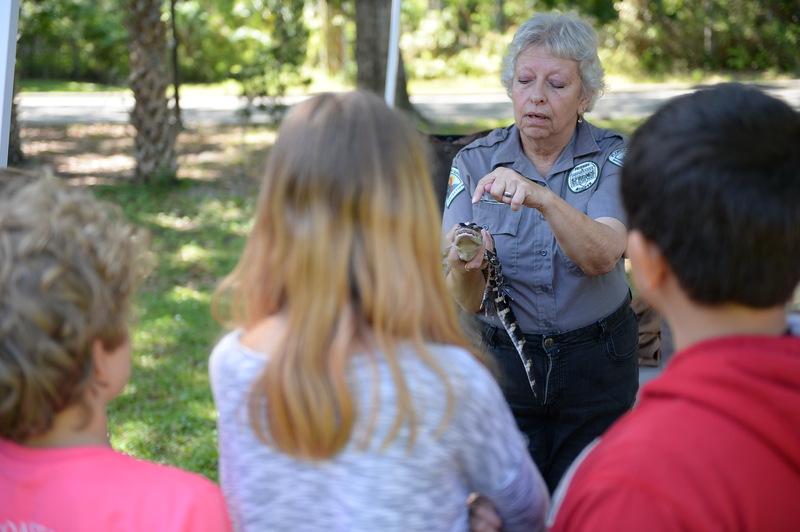 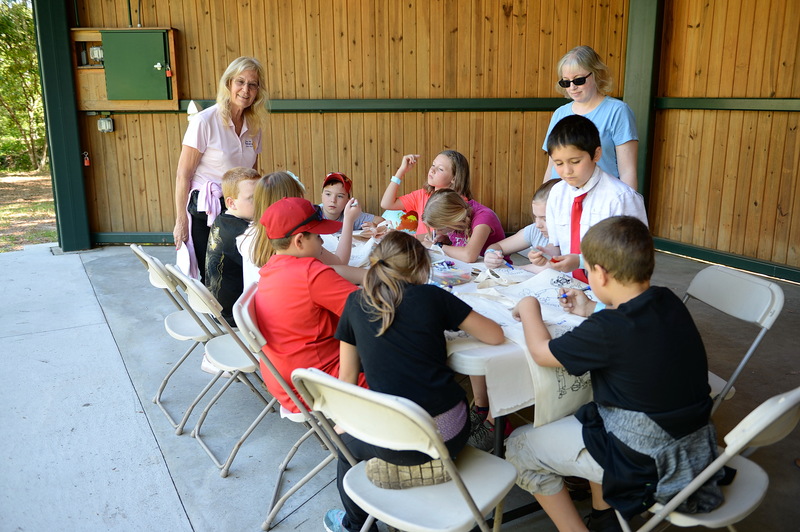 This was more than a field trip for the CRP third graders. 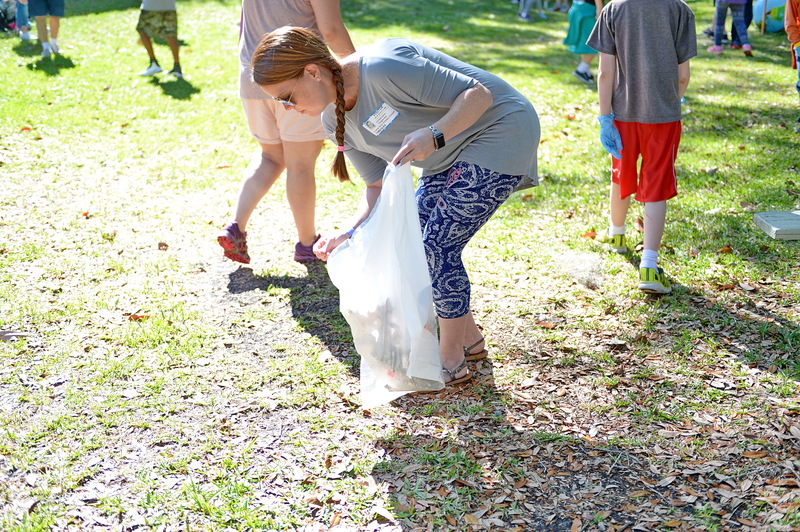 This was an opportunity for them to get real hands on experience with cleaning up and preserving their world.